Well almost a year has passed since we first arrived in Darwin, the actual date 4th June. We arrived after a 3.30am start from Cape Don about 100nm north of Darwin. We looked set for a wonderful ride into Darwin or so we thought. The stars sparkled in the still waters of Popham bay as we prepared to set off. We rounded Cape Don and the next three hours we pushed into the howling winds. The sea poured over us, but we were moving forward. The currents here are huge: up and over seven meters. Cape Don is where the opposing waters, currents, and winds meet and wow, we certainly had a ride. The day then slowed as we pushed current, with not much wind we slowed down to a very slow crawl. Tiata was full of salt, as were we after out morning dash. A refreshing shower and a nice brunch were called for. We motored sailed the rest of the day with Darwin slowly emerging on the hazy horizon. 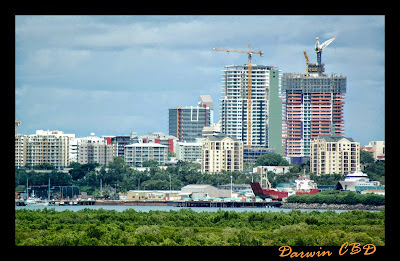 By mid afternoon Darwin City skyline was well in view we motored past Fannie Bay, the many cruising boats expected had started gathering. 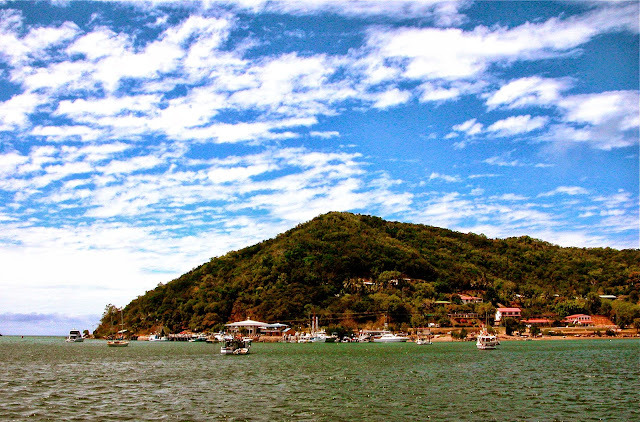 A beautiful bay that will become our home for the next 6 weeks. 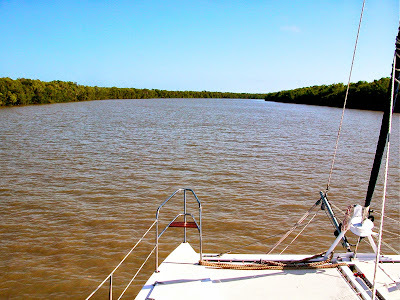 We continued around past Cullen Bay, Darwin CBD, and the wharf precinct before we made our way into Frances Bay. All these places were still just names to us but over the coming months, we would get to know Darwin first hand. It was coming on dusk as we picked up a mooring outside of Dinah Beach Sailing Cub. http://www.dinahbeachcya.com.au/ We were treated with the most stunning sunset. 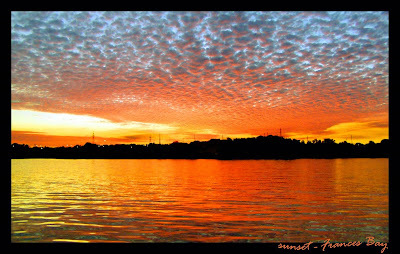 It filled the sky with rich golden hue. The promise of employment had been unsuccessful in Gove and the money, well, was still flowing out... The decision was made. Venture forth and head to Darwin in the hope of improved riches. We’d met many fantastic people and enjoyed our stay at this northern mine town. Before leaving, fortune shined on us with some lovely late downpours. 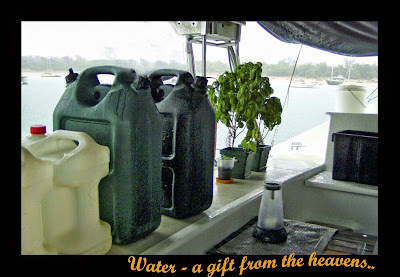 In one afternoon we collected 100 litres of divine rain water. ‘Tiata’ got a nice bath, the red dust rinsed off. 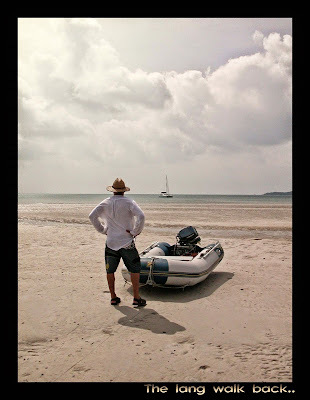 Then the following day we sat her to dry on the beach at low tide and cleaned off her hulls. We were ready to set sail. Our track advanced north to the Wessel Island group. A line of Islands situated to the North West off Cape Arnhem. 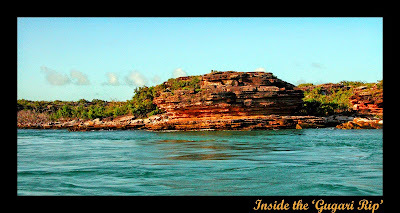 The strategy was to slip through the ‘Hole in the Wall’ also know as by the more precarious name -The ‘Gugari Rip’…..A narrow passage of disturbed water that passes between Guluwuru and Raragala Islands. 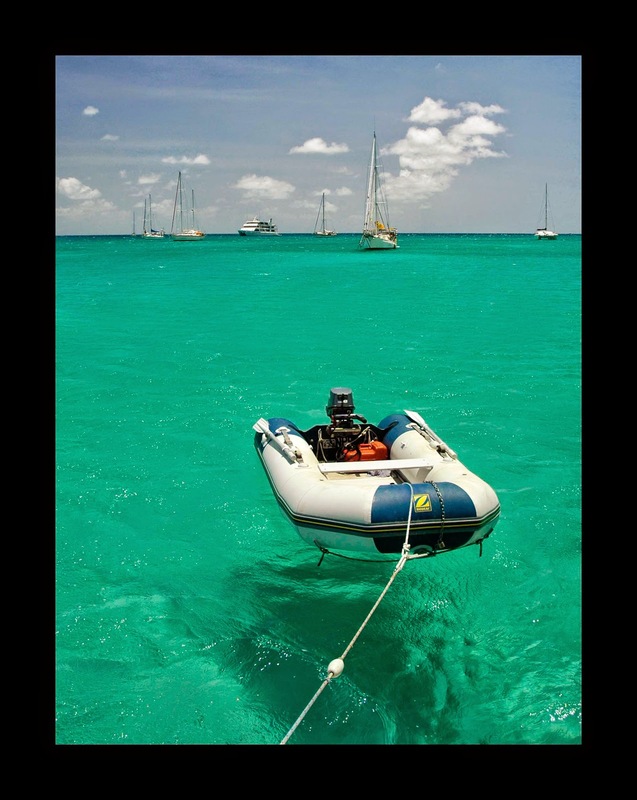 The Channel is 64 meters wide and 9 meters deep. With currents that surge though at 9 knots and on big tides up to 12knots. Hence the tides were given careful consideration. We had a couple of extra hours on hand. So we stopped for lunch at Cotton Island which is on route before continuing north to our destination. The current and the confused water were incredible and we were forced through the entrance. Fortunately we were running with the tide, if somewhat juddered about. Once inside the water flattened and we were able to enjoy the ride. The landscape within has an otherworldly look. 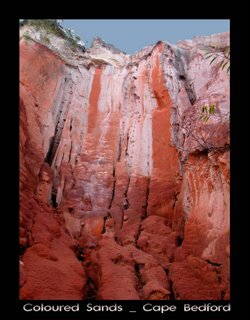 The layered rock of earthy vibrant colours: Orange, reds and dark browns streaked the jagged rock face. The names of passing vessels from years long gone were remnants of another era. Low scrub and stunted trees. Two giant eagles swooped and rode the wind as we progressed through the strange but beautiful terrain. Then before we knew we were through, safely on the other side. By this time it was late afternoon, so took a left turn and ran down Raragala Island and anchored in protected ‘boot shaped’ Guruliya Bay. 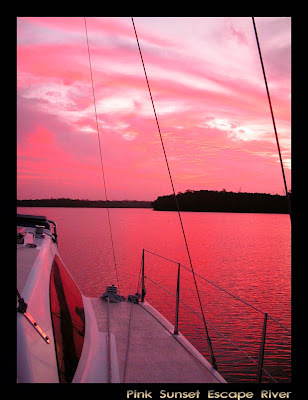 Once we anchored we were treated to yet another lovely sunset in a deserted bay. Next morning we decided to continue south and tuck inside Echo Island and through the Cadell Strait. Narrow and very shallow at times it’s best to approach on a raising tide and follow the some what dog leg track. At times there was barely any water below us, I was on watch as we snaked through the narrow channels, finally reaching deeper water. We had approached on an incoming tide but nevertheless half way through the tide was flooding in from the south. We were forced to push tide which made it a long slow journey. It’s a pretty run through with lofty mangroves on the Napier Peninsular and on the south of Echo Islands signs of life were apparent with houses, sheds and a barge landing ramp. Further around the point the main settlement of Galwin’ku. A plane flew overhead and a couple of tinnies filled with kids returning from a day out fishing, reminded us that we were not alone in this vast isolated region. We pulled up a just on sunset anchoring halfway down Howard Island which looked across to Echo Island. We were undecided where to stop the following night. The anchorages are few and many are said to be somewhat uncomfortable. After a long slow day the winds began to pick up and we agreed to continue through the night and on to Malay Bay for a couple of day’s respite. Just before noon and some 171nm later we were skirting Cape Cockburn the entrance of Malay Bay. 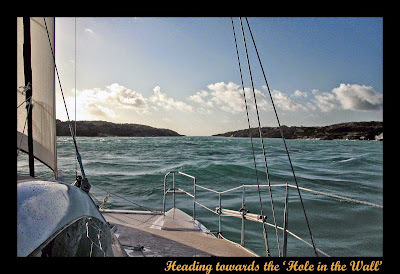 The winds had picked up and the entrance was quiet choppy so we sailed deep into the bay and found a little sandy beach to anchor off in this large uninhabited inlet. 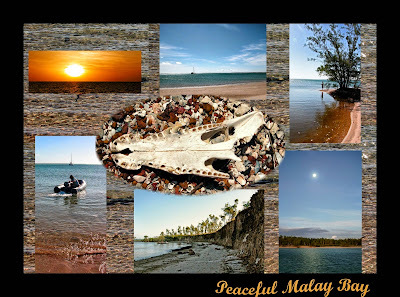 Our time spent at Malay Bay was wonderful and peaceful. 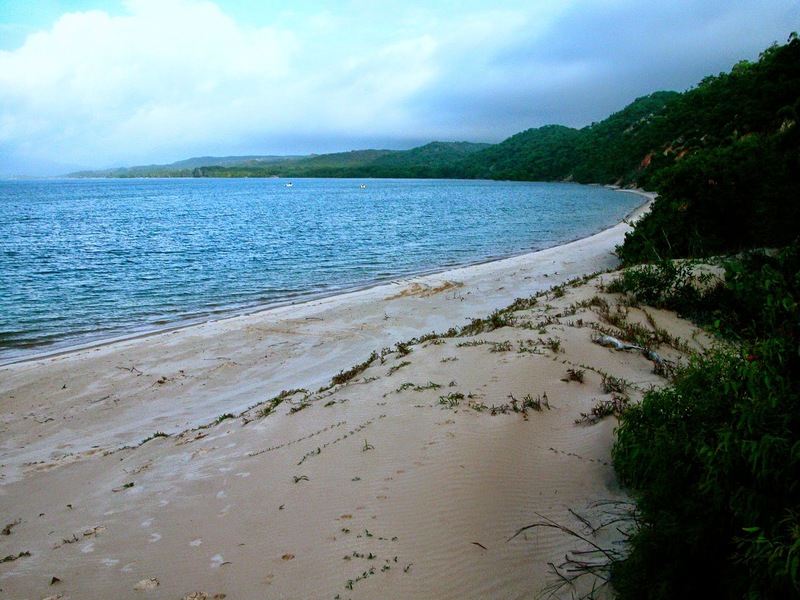 I spent the days exploring the deserted beaches which were devoid of human presence: bird, dingo and marsupial imprints dotted the sand – not a human footprint in sight. Combing the beaches I came across an assortment of cone shells all ranging in various sizes in beautiful colours and one morning there lying on shell and rock covered beach: a crocodile skull. What a prize…We still hadn’t witnessed any in the area but we were certainly reminded of their presence. As I walked Rudy coasted the shoreline trawling as he went. An early morning departure ensured a good run through Bowen Strait and we were putting down anchor at Black Point by early afternoon. Port Essendon is a vast picturesque inlet. The ranger station at Point Black was our first stop being the Garig (local language name) Gunak (land) Barlu (deepwater) National Park we notified the rangers. The park covers some 4,500 sq km which includes the entire Coburg Peninsula and marine areas. 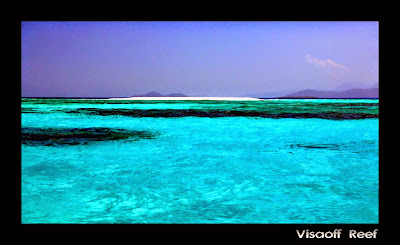 It home to Dugongs and 6 different types of marine turtle. 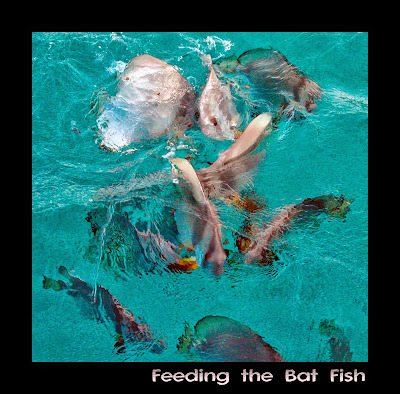 We spotted a manta ray feeding on top of the water, dolphins and on entering a huge flock of Christmas Frigate birds. These huge birds have immense angled wings that span over 2 meters it was an awesome sight to see so many of them feeding on the ocean. It’s worth a visit to the ranger’s station. They were very helpful and had lots of knowledge of the area. There’s a little shop open from 4-6pm mon-sat where you can get an ice-cream, fuel and a small selection of groceries and around the point near the jetty is a little beach where it is easy pull up the tender. Beyond the station is a 1.5km wetland walk. There are still signs of the damage from Cyclone Ingrid (make sure you ask the rangers to show you where they sat out the Cyclone– very snug indeed…..) and was the first wetland to be recognised as a Wetland of International Importance. We walked around late in the afternoon, the water overflowing with reeds, tall gum trees and lotus flowers in abundance. The next morning with fact sheet in hand we anchored off the Victoria Settlement. From 1838-49 they struggled to live cut off from the rest of the world except by unreliable sea communications. It’s a well defined track, but be prepared for it to take a couple of hours. It’s a beautiful walk with a slight climb which bestows stunning views out over the water and up the cove. We hiked past crumbling buildings and through an old graveyard, the names of many that perished in this hard land. After our walk we headed deeper down the inlet and spent the night in the calm protected waters. 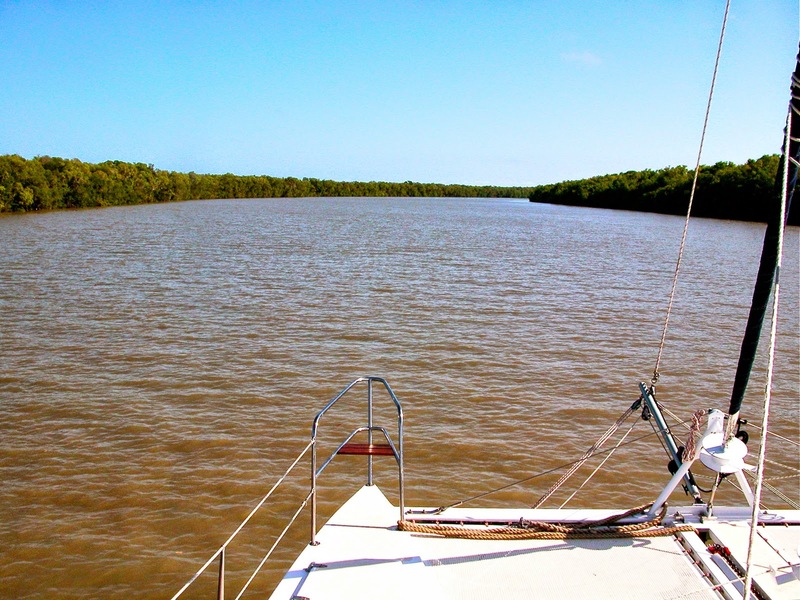 Our next stop was Popham Bay in readiness to head around Cape Don and onward to Darwin. Rudy figured about a 4.30am leave to ensure positive currents. 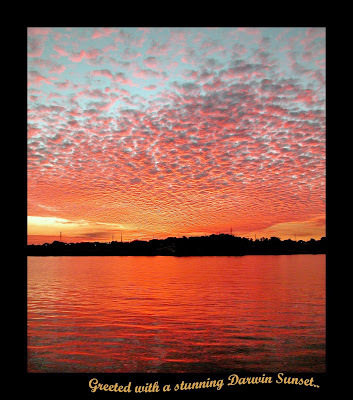 We awoke to a beautiful still night the stars mirrored on the water surface. All was looking superb as we hoisted the sail and before long we were shooting along on flat water at a speedy12knots. Then we rounded Cape Don into Dundas Strait and all hell broke loose. Within minutes the winds were blowing at over 30knots and the seas, which we were heading straight into loomed before us engulfing us on many occasions. Dundas Strait bridges the waters of the Arafura Sea and Van Diemen Gulf. At its narrowest point it only 15miles and immense amounts of water rush through at each tide. The wind is also funnelled through the gap making for a surprising adventure. That was it for the next 30nm. The sea constantly rose over us as we punched south. My beautiful basil plants were the victims of the journey. They dissolved before my eyes there was so much salt in the air. I held on whilst Rudy kept us on track. Luckily we had the tides pushing us along and even though it was uncomfortable we were moving along at over 8knots. The sun rose and slowly the ocean and the winds eventually died down and by the time we reached the Vernon Islands later that day they had receded to nothing and we had to motor sail the final leg into Darwin. 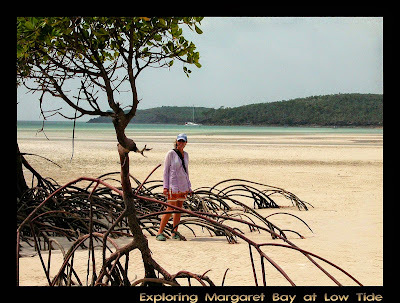 We made our way past Fannie Bay, around the port and spent our first night at Frances Bay. 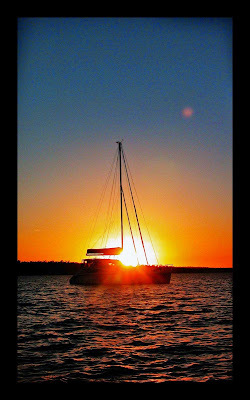 We anchored just off the Diana beach Cruising Yacht Club where we were greeted to our first Darwin sunset and it was a stunner. There is a jetty to tie up to and we easily stepped ashore. The Club is very minimal to say the least, with no walls, it ensures a good breeze and within minutes we were enjoying the wonderful hospitality Darwin. 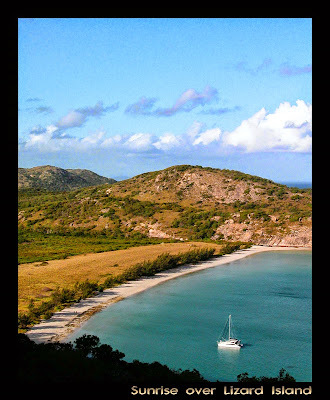 The following morning we headed back around to Fannie Bay which was to be our home for the next few weeks. Amazingly Rudy acquired employment with little effort and within 2 days he had a job and even better it included a car. 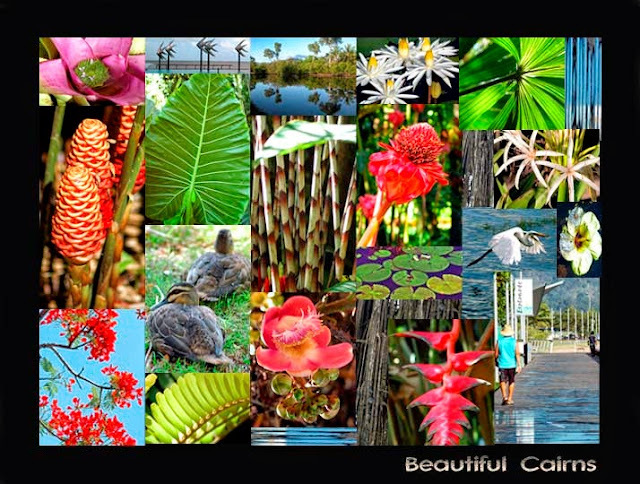 We were right to venture on and trust our instincts Darwin is a wonderful, dynamic city. The sunsets are awe inspiring and friendliness and kind assistance we have received is bountiful. How long we will stay is unsure for it is all part of our ongoing adventure. 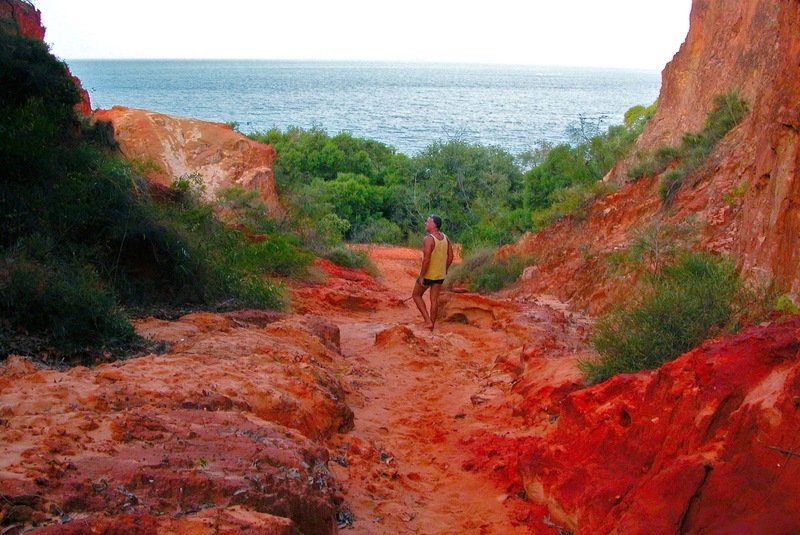 For now we are enjoying being able to get around and explore the Northern Territory in-depth. 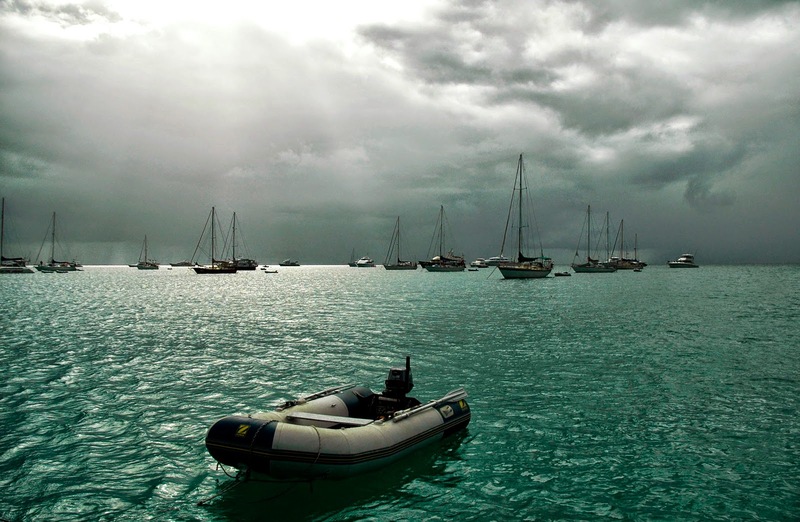 Three months sitting out the wet season we were ready to set sail. 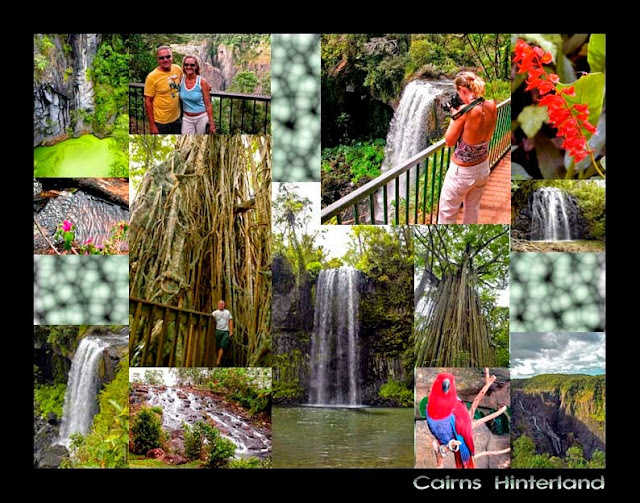 We’d spent the time in Cairns enjoying the beautiful area from the coast to the hinterland, we relished the long hard rains that refreshed and revitalised the area - the greens so rich, the water was abundant, the rivers and falls so full - everything is so alive it’s a great time to enjoy Cairns. Our pockets also felt this abundance: so much to do, to see… the restaurants, the shops, and the magnificent drives. I’d picked up a little work, but not enough to replenish our sadly depleting sailing fund. What next? We’d heard that there were plenty of well paying jobs to be had in Gove up in the Territory, so that was our plan to make our way across the gulf and see what it had to offer. We set off ‘Tiata’ stocked to the gills and sitting deep in the water: a sure sign of adventures to come. 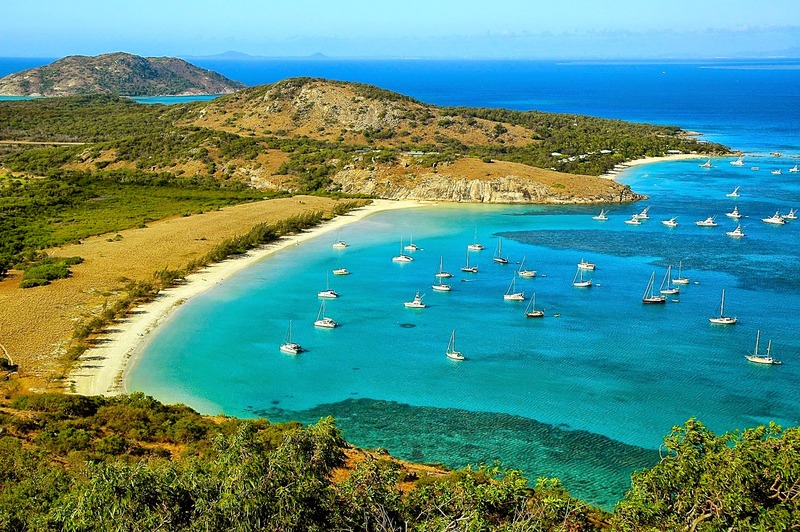 Our first major stop was to Lizard Island for a couple of weeks to slow down and get back into cruising mode – mandatory… We headed off early and with a beautiful wind at our backs. We had a lovely spinnaker sail and got into Hope Island before sundown. Up early the next day, and we were putting down anchor early afternoon in an extremely quite and lush Watson’s bay. The days idled away. It was lovely to reacquaint ourselves with this beautiful island. The wet season had been good to Lizard, transforming it from a beautiful but dry land to a lush green one, and so, so quiet. 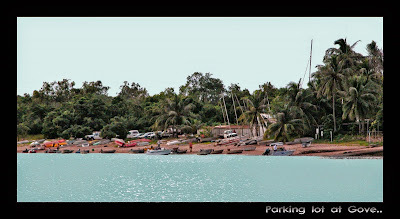 On previous visits during the high season, the bay had been full of cruising vessels but now we shared its beauty and serenity with only a couple of boats. The water, as always, was beautiful and inviting. We swam the stunning reefs and were luckily enough to witness a family of huge Maori Wrasse, like a heard of elephants moving slowly in the hazy distance they were breathtaking! We walked up Cooks Look and watched the sun rise over the bay; we strolled to the Blue lagoon and dreamed on deserted beaches: we chilled. Feeling calm and relaxed, and with the winds looking favourable, we were about ready to head off. A couple more trips to the water pump was all we had to do, but what an encounter that was to be! We’d been assured there were no snakes on Lizard. I’m afraid we have first-hand evidence that this is not the case. On the third pump, the water turned silky black. Rudy and I had no idea what we were looking at, had we struck oil? Then we realised….a meter long ominous looking snake slithered out from inside the pump. I don’t know who was more scared: myself, Rudy the snake or the green frogs he’d probably been after, but we all scattered in different directions. After we collected our wits, we headed back and were saved by friends, John and Annie on Catalina, who after hearing our tale kindly topped up our water. We left early the winds a perfect 15-20 knots, our destination Flinders Island, an 86 nautical mile trip. 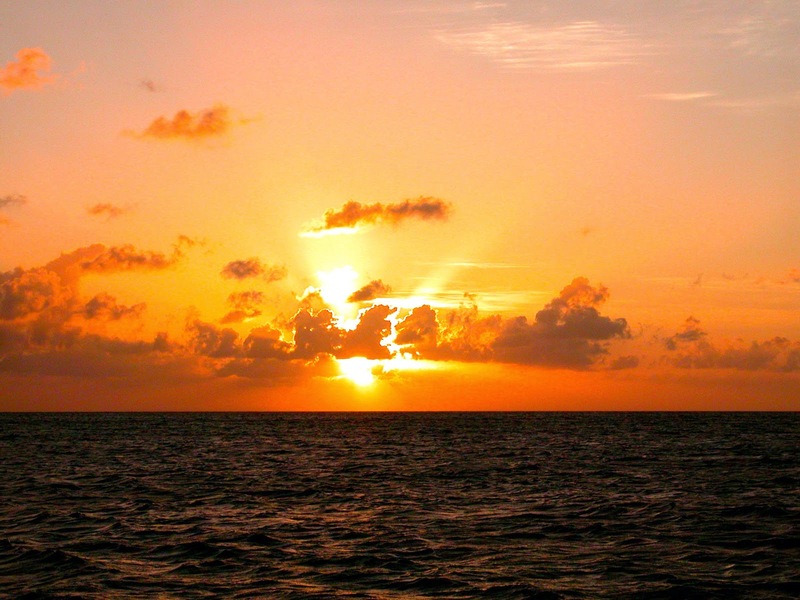 We averaged 8+ knots and10½hours later anchored in time to catch the sunset – beautiful. While at Flinders we met a group of five who were planning to make the lengthy trip from Cooktown to Weipa in two tinnies, as research for Andrew Ettinghausen’s fishing and adventure show, Escape with ET. When we came across them they had used more fuel then expected, and were worried they’d be caught short on the next leg. 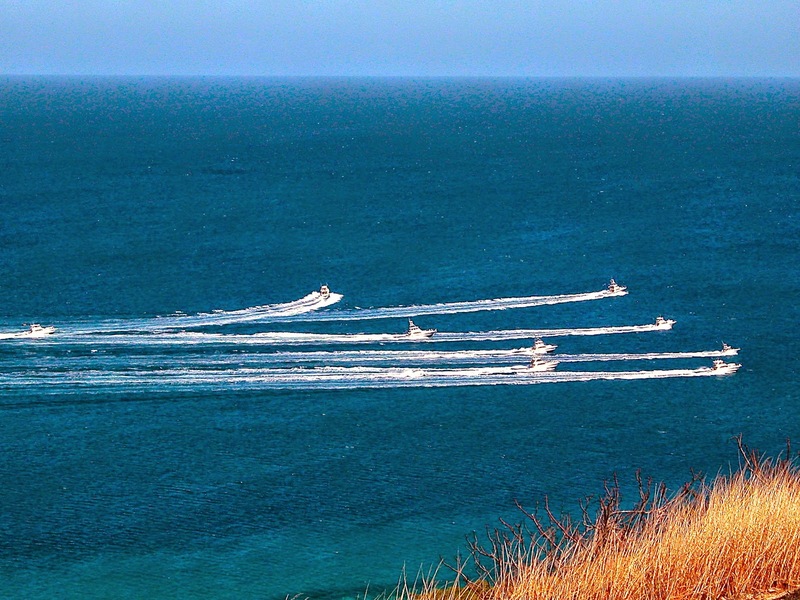 There was a communal sigh of relief when we informed them that the ‘Sea Swift’ fuel barges do a fortnightly run from Cairns to Cape York and back. 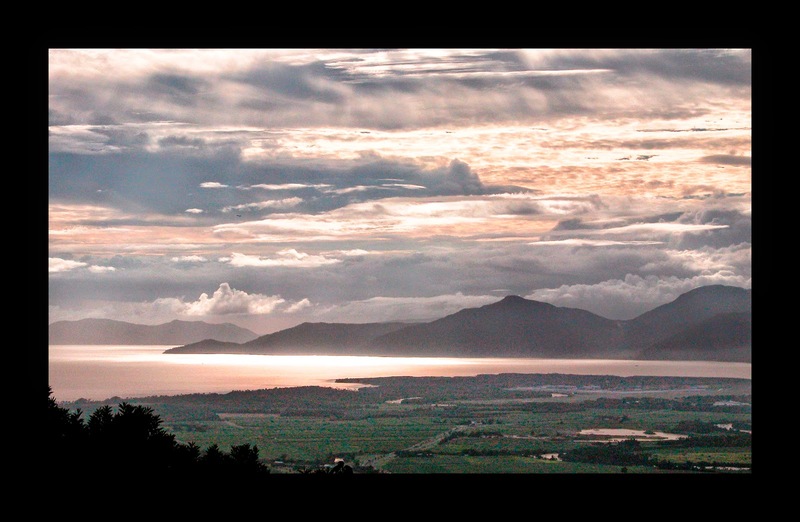 They stopped at Flinders Island, and as it happened there was one arriving in the afternoon. It sounded like a very brave expedition…. That afternoon we moved around to Stokes Bay ready for the sail across Princess Charlotte Bay the following morning. After a leisurely breakfast we headed off, Morris Island our destination. The winds looked set for another spinnaker sail but alas, the breeze died out and our spinnaker was left flopping limply. A change of sail and a bit of motor power to push us along, we settled down and enjoyed the smooth clear waters - so different from our previous experience in the area, when we had winds of 30+knots holding us here for weeks. As we sailed Rudy cooked up a delicious BBQ, and we enjoyed the beautiful weather and sights. A shark and a sea snake battled on the ocean surface - an amazing spectacle. 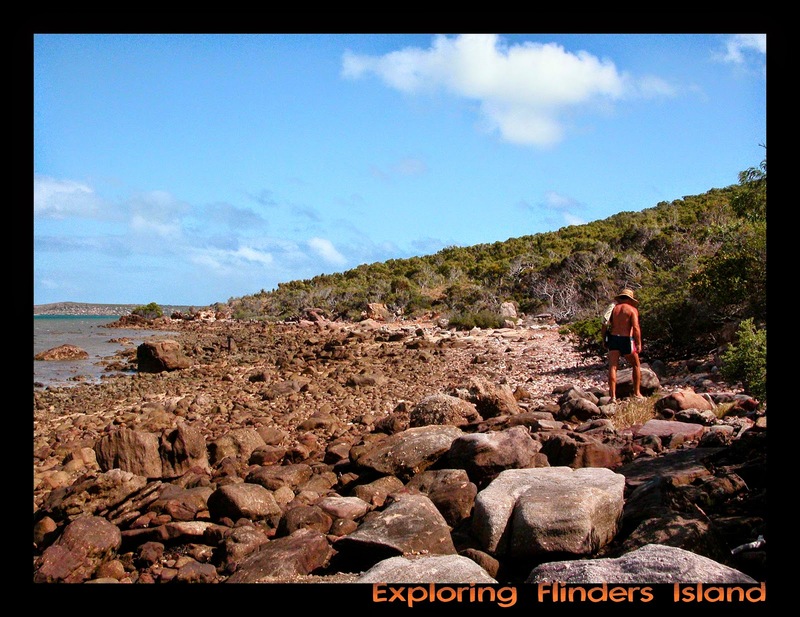 We arrived at Morris Island late afternoon to our friends in the tinnies setting up camp on the beach. A lovely little island filled with a mass assortment of sea birds that filled the setting sky. Our next key stop was Margaret Bay. 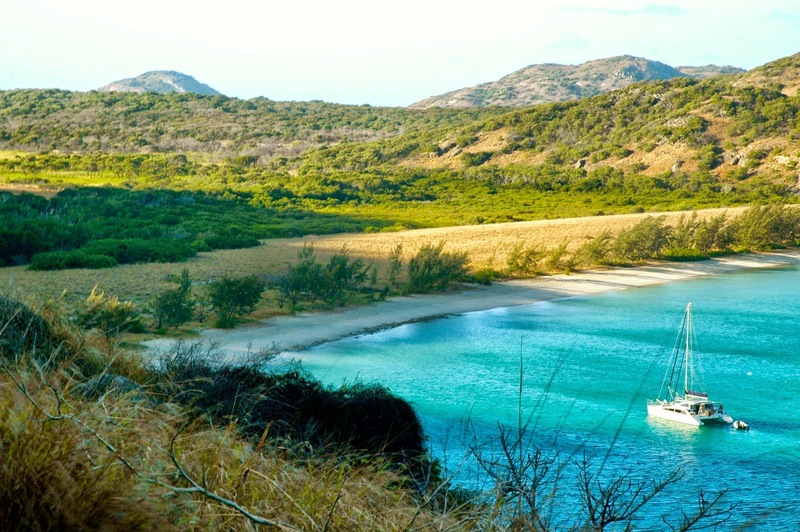 We’d heard lots about this bay from many a passing sailor, but until you see the beautiful clear waters, the pristine mangroves and sparkling white sands first-hand, you cannot fully appreciate its true splendor. There were a couple of fishing trawlers when we arrived, but they all headed off shortly after dark, and all through the night we could see their lights sweeping the otherwise deserted star lit sky. The following morning Rudy hit the mangroves and landed himself a lovely Mangrove jack and a Giant Herring, the later of which we used for bait. With the freezer packed full and the tide going way out we decided to pack the fishing gear away. 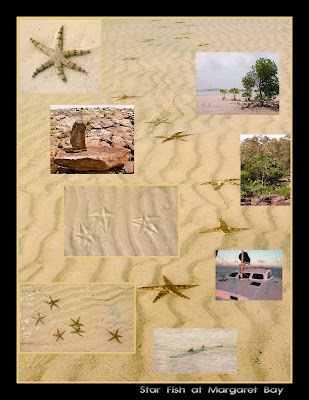 We spent the afternoon exploring the isolated beach, where small sharks and sting rays coasted the shoreline and oodles of disappearing star fish left the sand covered in a pattern of stars. Our final stop on the East Coast was the Escape River we arrived in the afternoon which was lucky as the pearl leases are prolific on both sides of the river. We made our way deep into the tributary, passing one very big croc lazing on the river banks; we were treated to a gorgeous pink sunset and had a lovely quite night alone on the river. The plan for the next day was up and over Cape York Peninsular, via the Albany Passage and on to Seisia. Rudy spent the evening looking over that state of the tides and currents. Being that they can run at up to 6 knots you definitely want to go with them and after some deliberation it was decided on an early 5.30am start. We awoke in the wee hours and made our way slowly up the dark indistinct river arriving at the mouth just on daybreak. There we were met by steep rolling seas and gloomy skies. This only abated as we entered Albany Passage. 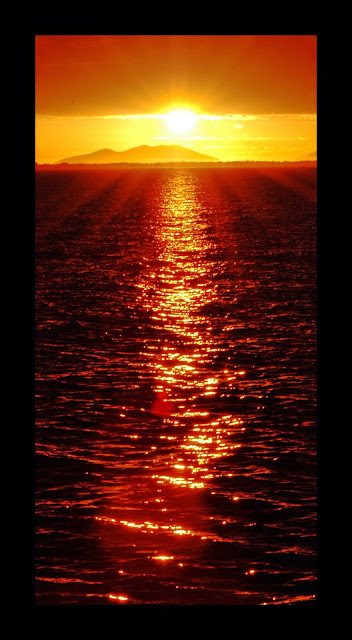 It was like a veil lifting, the waters smoothed, the sun came out and the skies cleared. We were treated to a beautiful current assisted sail. 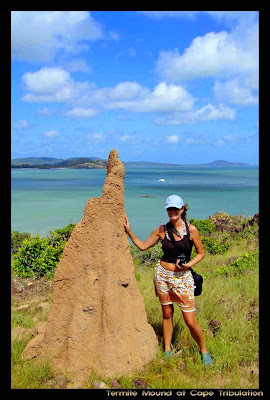 Stunning rain forests hugged the water’s edge; immense orange termite mounds stood proudly atop mountain ridges, and on Albany Island solitary pearling shack stood encircled by palms on a deserted little beach. We passed inside York Island just meters away form the tip of Cape York, it was still early morning thus there was no one on ‘terra firma’ to cheer back at us. It was decided to anchor off Cape York to get a close up view of the northern most point of Australia. We got ashore just in time to meet up with the first of the daily visitors who pointed us in the right direction and we made our way this time on solid ground. 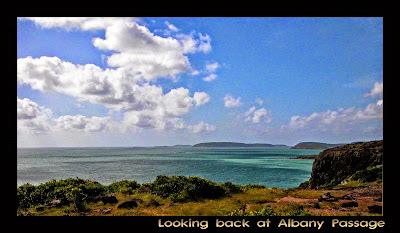 The vista was spectacular with panoramic views down the Albany Passage sweeping around to the islands of the Torres Strait. Until I saw it for myself, I never appreciated just how close our northern cousins are. 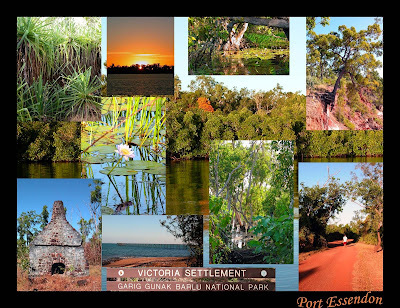 Seisia is the coastal port for the Aboriginal/Islander community of Bamaga some 6 kms inland. As we sailed in we were faced with a beautiful tropical setting with palm trees lining a white sandy beach. It is a remarkable place. I’d like to call it man’s world (though the ladies of the town are as much into fishing as the men). If you love to fish and hunt and fish and fish well this is your type of place. Tinnies rule here and you see the locals, mostly who are Islanders jump into their tinnies and head out into the open seas. 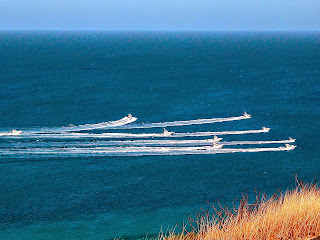 Zipping across to Thursday Island is a regular occurrence and habitual fishing trips take them further a field. Excellent navigators they know the waters well and can make their way across moonless nights using only the currents and waves to guide them to there destination. We found Seisia to be a very friendly and the locals just couldn’t do enough for us. Our first afternoon we went ashore to get our bearings and a hamburger, (Rudy favourite craving when we arrive anywhere with a shop…) we made our way the Kiosk at the Seisia Camping ground where we were treated the hugest burgers. We got talking to Allen aka ‘Skinny’ who along with his wife Velma had just taken over the Kiosk. And well, before we knew it Skinny had organised a couple of days of sightseeing for us. We headed off early the next morning along ‘Gizmo’ the dog, and what a day. Skinny has a mountain of local knowledge from the history of the area when it was an American Base. As many as 30,000 troops were stationed all through the surrounding area. There are downed planes, rusting radar towers and loads and loads of miscellaneous bits and pieces left over from World War 11 scattered throughout the bush. He knows all of the local indigenous people and they all know him, he was able to recount to us all the different indigenous groups and where they were originally from. The people of Bamaga initially coming from the northern Island of ‘Saibai’ after an exodus to the Australian mainland in1947 after there own island homes began to sink into the ocean. He took us to the graves of the pioneering islanders deep in the bush at Muttee Heads. The terrain is the original land Injinoo people but there is now about five Aborigine and Islander groups moved from different areas that now live in individual settlements within this region. Skinny had organised a picnic lunch for us which we enjoyed on the coastline at Muttee Heads - the gorgeous beach front looks back to Seisia and over the Torres Strait Islands. A couple of days later we were off again this time we headed south to the Jardine River ferry crossing (which Skinny managed for 6 years before moving to the kiosk) after a long 4WD bash (and I mean bash, those grated roads shake your fillings out…) we arrived to a warm welcome from his former staff still working at the crossing. It was fantastic to stop, have a chat and learn more about the people and area. 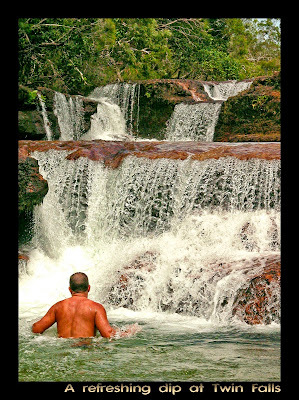 After crossing the river we headed further south along the old telegraph road making our way to firstly Fruit Bat Falls than back to Elliot and Twin falls the water was delicious, clear, and no crocs….. Rudy could not resist and climbed in for a cooling dip under the waterfall. 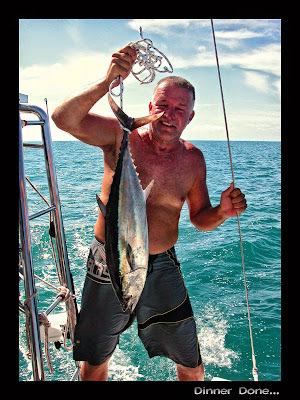 Out came the serious overhead line and in a flash he was pulling in a beautiful big eye tuna, dinner done…We arrived at Jackson River late afternoon and decided that this was as good as any starting off point for our leap across the Gulf. We headed off early the next morning with a beautiful spinnaker run but as the day wore to night; the clouds ahead were looking a tad dubious. As luck would have it, about 15minutes after pulling down the kite we were hit by a bank of squally weather which seemed to come from nowhere, and the wind she did blow. That was it for the rest of the night; in hindsight it was good we took the extra day as the sea sat right on our back. 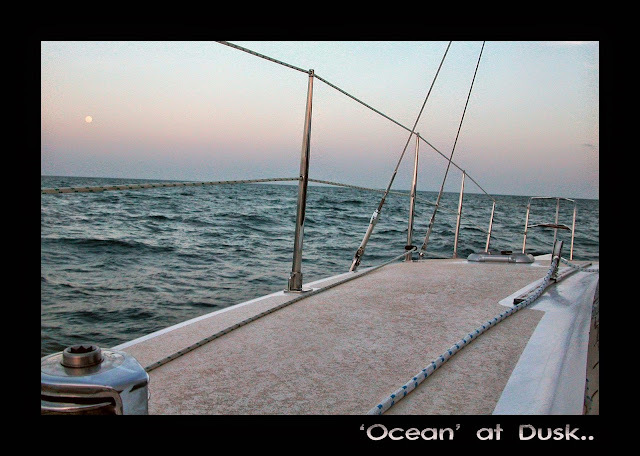 We had 2½ meter swells and 25+knot winds all through the moonless night; with just a reefed headsail we averaged 8½knots. By the next morning it eased up a bit and our next 24hours was much more relaxed, be it some what slower. Late morning on the third day, some 52hours, and 324nm, we had conquered the gulf and reached the Northern Territory. 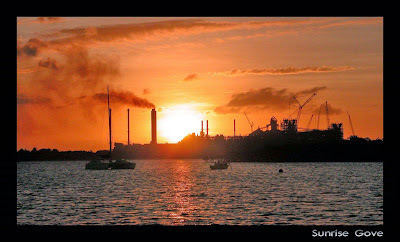 Sailing into Gove you are immediately faced with the smoke stacks of the huge refinery and wharf which fills the otherwise low spartan horizon; we motored past huge tankers making our way deep into the harbour and anchored up in front of the Gove sailing club. The sailing club’s facilities are a bit tired but can accommodate all your needs, and the view out is beautiful even with the refinery. The town of Gove is about 10kms inland too far and too hot to walk and taxi’s can set you back $25 - $30 each way. We managed to get a lifts from passing refinery traffic and were luckily to be lent a car for a couple more trips to town. Gove itself is very small but has all the necessities as well as a layer of red dust; everything is shipped in so quite expensive and not exactly fresh. We had met up with John and Annie off Catalina who had arrived a couple of days prior and we decided a lunch to celebrate was in order. It just so happened to be Mother’s day and the Arnhem Club had a seafood buffet on offer. 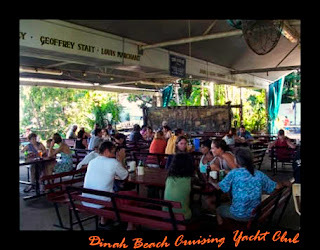 We enjoyed a fantastic lunch, the seafood beautiful, fresh and abundant – well worth a visit. 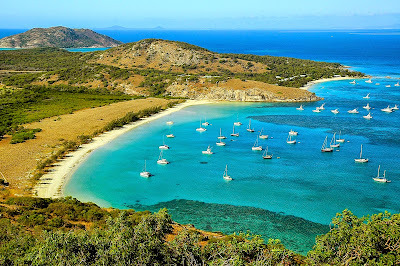 The port of Gove is full of sailing vessels most of which have settled down to work. It’s quite different from cruising lifestyle we had grown accustom to on our travels up the east coast with regular afternoon sundowners on board each others boats. Here it’s work, work and more work. Many are on long 12 hour shifts it’s hot dusty and hard. The club in the afternoons is full of orange shirted workers from the mines; there are though lots of families who have knuckled down to do some serious earning thus there is a real community feel. We were fortunate enough to meet loads of wonderful people many who had been there for the long term. Thus, the club is the focal point for social gatherings. 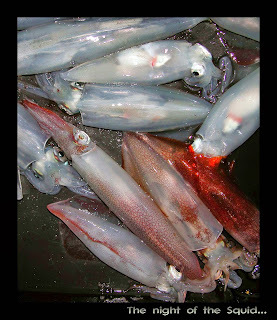 We were informed that the fishing and crabbing was good just off the back of the boat. Never one to knock back an opportunity we baited the pot and tossed it out, envisioning tasty crab yumm… We’d gone ashore and the afternoon stretched to night, the crab pot was long forgotten. Early the next morning Rudy went to haul it out but it refused to budge. 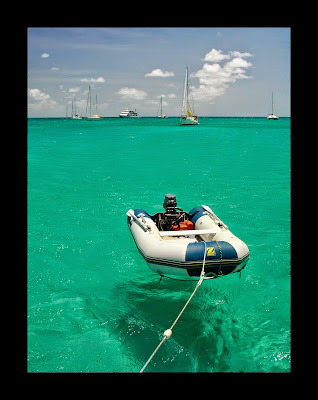 Instead of pulling the pot towards the boat, the boat was moving towards the pot. Eventually it began to lift from the bottom but by now we were getting a bit nervous, what had we caught? We were thinking croc - not something you want to deal with before breakfast. Finally Rudy dragged it to surface and to our aghast we were looking at a 6 meter hammerhead shark which had wedged itself steadfast. 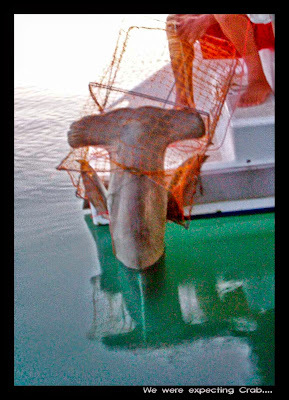 Its head bigger then the trap it caught itself in and we were sitting in under 2 meters of water. Rudy tried to lift it but with no luck and we didn’t want to leave it around the bay so we jumped in the tender and very gingerly hauled it across to the next bay where a croc trap is permanently set up, a bit of croc bait? It’s undoubtedly a diverse life we lead it’s not quite an early morning traffic jams we have to deal with, but we wouldn’t have it any other way. When I left off last time we were in Cairns with a broken anchor winch that was all fixed, nevertheless we ended up staying in Cairns for 3 weeks, whilst there we managed to get lots of work done on the boat. We had our engines taken out and serviced, Rudy overhauled the all other winches, we cleaned, we polished and Tiata was ready for our next adventure, south to the Whitsunday’s for Christmas…..
We had a marvelous time in Cairns, we caught up with, and made new friends and we hired a car for a couple of days to explore the hinterland. 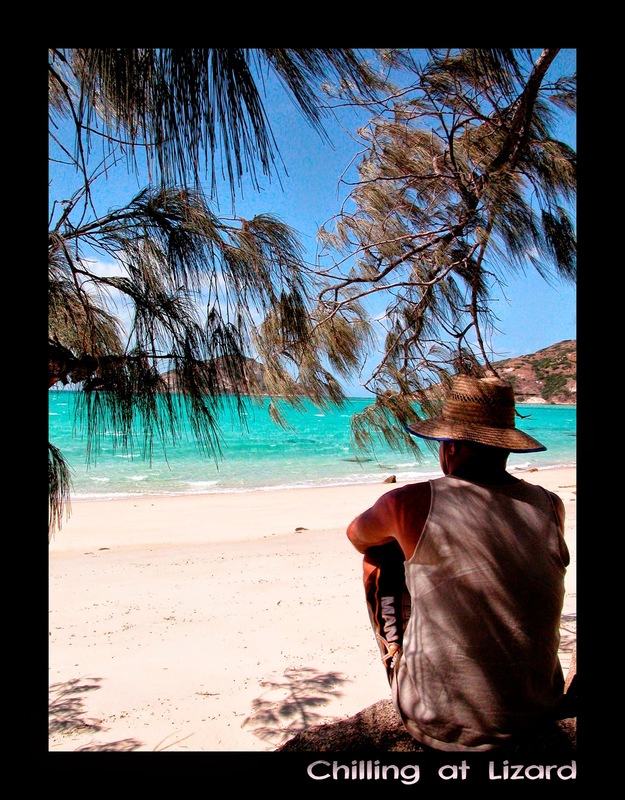 The first day we actually ended up joining a friend, Bruce we’d met at Lizard Island who had also hired a car and his being a Mercedes and ours being a very little Getz we where happy to join him. We headed north stopping of at Yorkey’s Knob, taking in the wonderfully scenic coast road. From there we headed up the range stopping off at a peculiar little diner at Mt Molloy with ‘killer’ hamburgers before making our way up to the magnificent Barron falls. The next morning Rudy and I were off again, we jumped into the diminutive Getz, not as flash or spacious as the Mercedes but it was new, air-conditioned and red… We decided to head south to Innisfail which was still draped in tarpaulin, a sad reminder of the cyclone early in the year and still so much to do. From there we headed up the range following what is known as the ‘waterfall trail’. Along the way we saw our first Cassowary in the wild, what an amazing bird. We stopped off at some beautiful falls all of which full, invigorating and just a short walk from the road. From there we made our way to Ravenshoe which has Queensland largest wind farm, giving power to about 3500 houses, it is an awesome sight to drive over the hill to be faced by these slow turning giants. 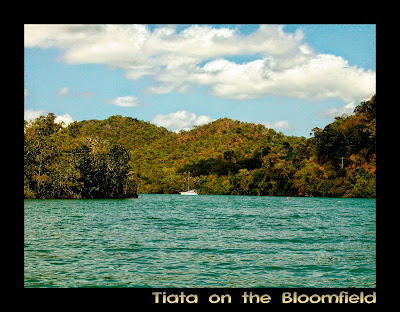 By now we were ready for a break so we made our way to Atherton Tablelands and to Atherton for lunch and a stroll before making our way to the lakes district. 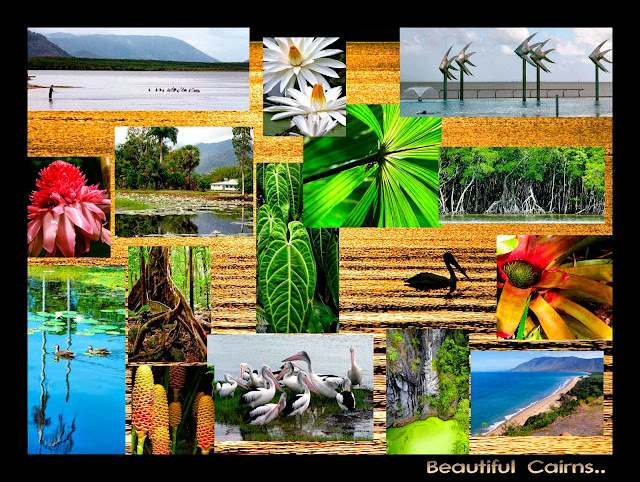 Cairns is beautiful, there is a wonderful boardwalk that looks out over the bay bursting with a vast array of birdlife, there is a huge funky pool that is a great place to cool off on a hot day with great facilities for a BBQ, it’s delightful and always very popular. 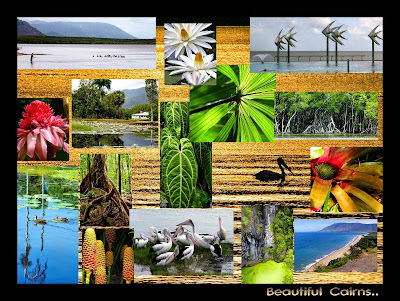 The gardens are, I can only say, spectacular, there are many fantastic choices of places to eat and Cairns is surrounded by the most beautiful mountains you feel as though your in a big cuddle. 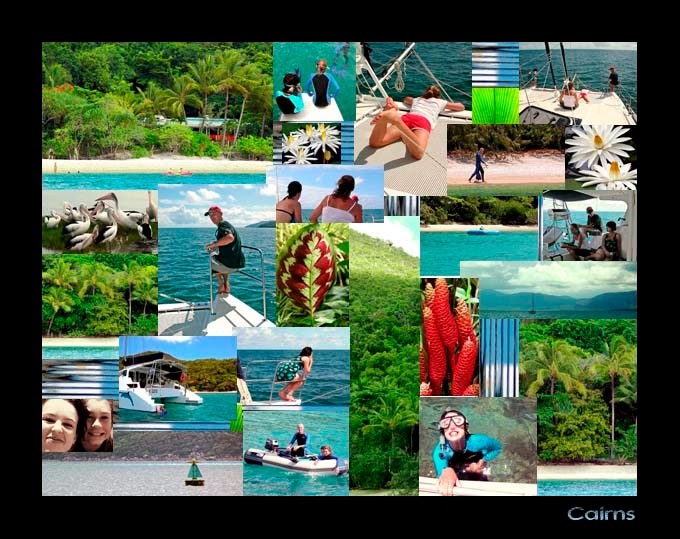 We headed down to the Whitsunday’s for Christmas but decided to come back to Cairns in January to sit out the cyclone season. The northerlies set in just as we were heading south, which was great luck and we made quick passage to Zoe Bay on Hinchenbrook Island arriving on the second day by early afternoon which gave Rudy plenty of time to cook up a roast on our new Cobb Oven – yummy.. Zoe Bay being south-east facing (the winds predominately blow from the southeast) is very dependant on the weather; it’s a lovely bay with rainforest reaching the beach. At the north of the bay you can edge your way up the river which is lovely and protected and on the south there is a track to a beautiful waterfall. We awoke the following day to beautiful weather and light winds blowing from the north/east, we set up the spinnaker and it was a full 10 hours before we had to take it down, we had a beautiful day lazing on the decks we even had a BBQ while sailing and the ocean was lovely and flat, later that afternoon and after hearing that the weather was to change for the worse over the next few days we decided to do an all-nighter to get us to Bowen and the north of the Whitsunday’s before they arrived. After changing our sails to prepare for the shifting winds and to settle in for the night, we were happily treated to a breathtaking sunset and moon rise. 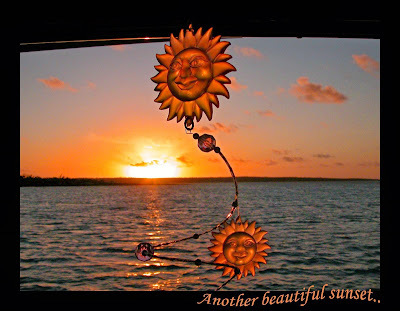 The colours of the sinking sun, was just awesome and the rise of the full moon, marvellous… we were guided by the light of the moon over the quiet seas. Rudy did most of the watch though he did go down for a few quick naps, we had plenty of snacks and treats to help us go the distance – you have to have treats……. By early morning the winds began to swing around and we were treated to some gorgeous predawn slop, and after a beautiful run the last 10 nautical miles were slowwww…. 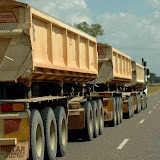 We approached Bowen by early morning. We set the anchor then we both went down for a well-deserved nap. We were up just before lunch and as we knew of a great café just off the beach just near Queens Bay we jumped in the tender and headed ashore only to be treated to a “closed” sign. 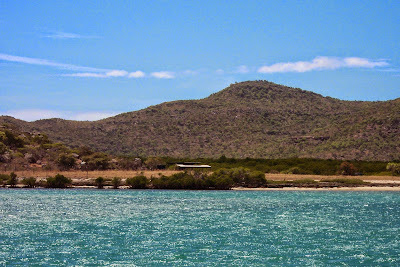 And with not another café in sight we decided to refuel and water up, and by early noon we headed off to Cape Gloucester which was only a quick nip across the bay. We awoke the next the next morning and the winds, as promised had picked up to a brisk 20/30 knots. 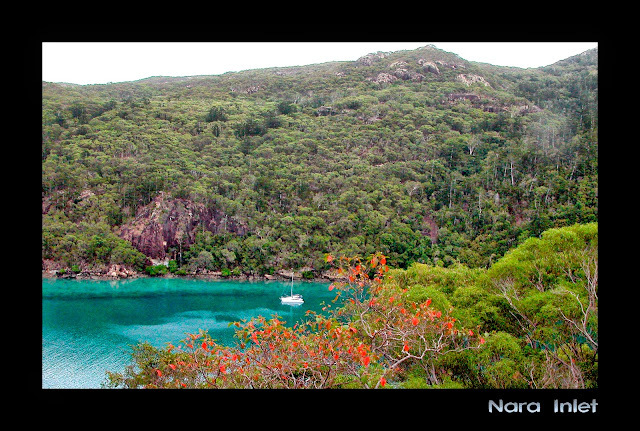 Therefore, it we decided to head north to the next bay just off the mainland called “Double Bay South”. There are several lovely bays on the coastline, which make there way down to Airlie Beach. There we were protected from the blowing winds. 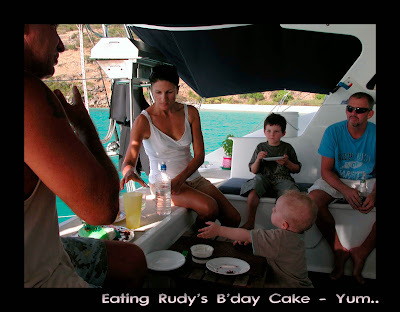 It was cloudy with light showers, but it was warm and Rudy cooked up an amazing lunch and then we sat and played scrabble while looking out over the cloud-sheathed mountains of the Whitsunday Islands. For next few days the winds stayed brisk and from the south-east so we had fun playing around the northern end of Hook Island, we stayed in beautiful butterfly bay, normally a very sort out spot (as there are only a set number of moorings up in the bay) but being a couple of weeks before Christmas the Whitsunday’s was delightfully quite with very few boats around, we did some snorkelling at Manta Ray Bay which has some of the best prettiest reef and beautiful fish in the area. 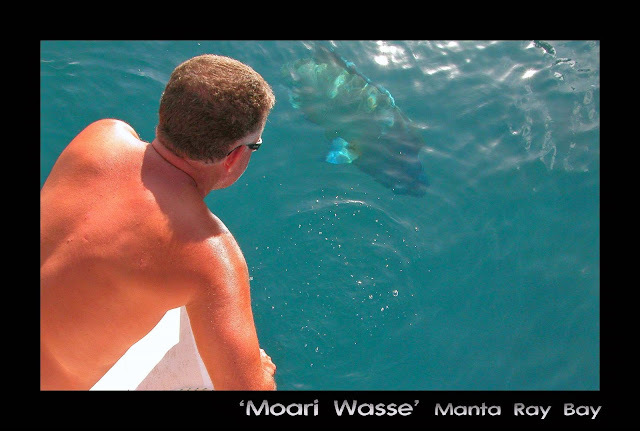 We were greeted by a flurry of beautifully coloured fish and to our delight a gorgeous enormous Maori Wrasse which was at least 4 feet long, if not more, he played with us around the boat before we headed in beach and went for a lovely snorkel. Clouds were building and the winds were blowing so we set sail making our way down the west side of Hook Island and into Nara Inlet. 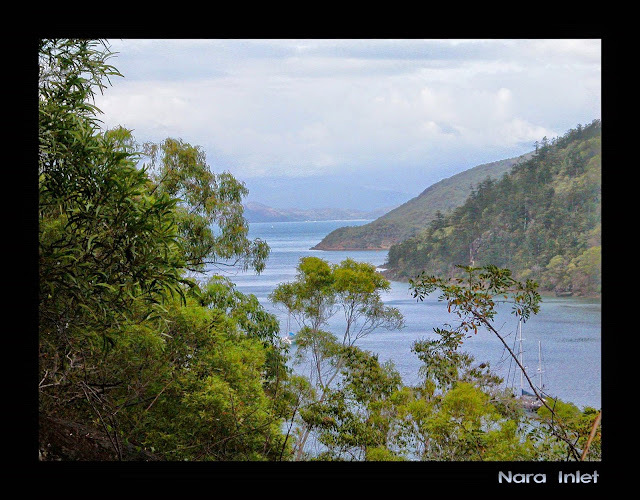 Nara is a lovely long narrow fjord and a protected refuge in strong weather. We spent a couple of days here enjoying the peace and tranquillity and spent our time exploring the area. There is an aboriginal cave with paintings and from there you can make your way to the top of a waterfall, dry at the time we were there as it only flows in wet weather or after a heavy downfall. Whilst enjoying our sojourn I decided to take up rowing our tender for exercise and to have a real close look this beautiful area. I began rowing down the very end of the Inlet, beautiful and so quite. I came across a hammerhead shark, then another and another, there was about 6 or so and one biggy (about the size of my boat) which swam towards me a few times – “I suppose for a bit of a look at me as I was watching him”, it was lovely to be so close, as they lazily swam about. I also caught sight of numerous turtles, plenty of fish and eagles soaring overhead, the day overcast and showery. I went back in the afternoon at low tide to see if the sharks were still there, and yes they were but out in deeper water. It’s quite rocky but at low tide I was able to find a stop that wasn’t to covered in rocks and oyster shells to drag the tender out of the water and to go for a bit of an explore in the bush, where I entered it was the end of the valley the ground steep, strewn with huge boulders. It was quite, so very quiet with only the sound of an occasional call of a bird in the distance. I eventually made my way back out and climbed the rocks which gave me superb view right up the channel. The weather was looking grim for the next couple of days, so now seemed as good as time as any to head into Airlie Beach for some reprovisioning of supplies and water. We anchored off the Airlie Beach Yacht Club, which allows dingy access. We did what we had to do and enjoyed a couple of meals out and then after a few days the blustery weather started ease up. There was a hint of some light northerly’s in the coming days, so we slowly made out way south stopping along the way. Staying a couple of nights at Cid Harbour, Whitehaven Beach and on to Thomas Island which is in the southern group of the Whitsunday’s. With the promised light northerly winds and dazzling weather, we headed to the islands southern anchorages. 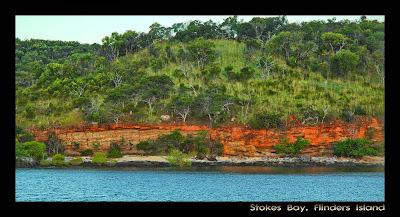 The days moved on in a slow dreamy pace and we meandered our way around the Islands, the weather stunning, we began making a slow passage back to Airlie for a few last Christmas treats; the weather was looking great for Christmas period with more light northerlies so we decided to head back to gorgeous Turtle Bay off Whitsunday Island. 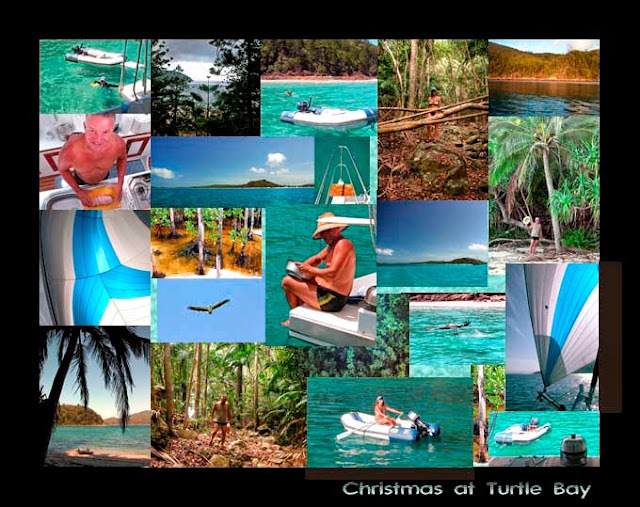 We awoke Christmas to a beautiful day, the water still and clear, I started the day with a row around the bay spotting many fish, turtles and even a couple of reef sharks. Rudy had organised a roast and potato salad for Christmas lunch so was eager to get started so after a divine swim he was into it, we have a cobb oven which works with heat beads thus it was one of those long slow roasts. We had a lovely relaxing lunch which was delicious and long with lots of cooling swims and by early afternoon, as the weather was so beautiful we decided hoist the sail and have an afternoon sail around Whitsunday Island, sailing past the white sands of Whitehaven beach then with a bit of a wind change we put up the spinnaker to be lazily blown around the Island – definitely a Christmas to remember. We had organised ourselves a Christmas treat, a stay at Palm Bay Resort on Long Island where you moor in a little bay that has room for only 5 boats through a narrow channel and the tie your vessel stern to a palm tree, It’s a intimate style boutique hotel with only 21 bungalows all facing the bay, we had to pay a little mooring fee (compared to the price to stay) and we had full use of all the facilities and we did.. We lounged around the pool drinking exotic cocktails and that night we had a gorgeous meal in the restaurant – it was too good. We left Long Island after a lovely stay and started our journey north back to Cairns we stopped to re-provision the boat in Airlie before heading north, we stopped at Townsville for New Year’s Eve, it was a very hot and steamy day and we went for a walk along the boardwalk and stopped of at the pub for a couple of early new year drinks. We enjoyed a nice night with front row seats for the early fireworks and then the skies opened and it poured and poured and poured for about 4 hours, in that time we filled 4 buckets of water form the run off from our tarp. 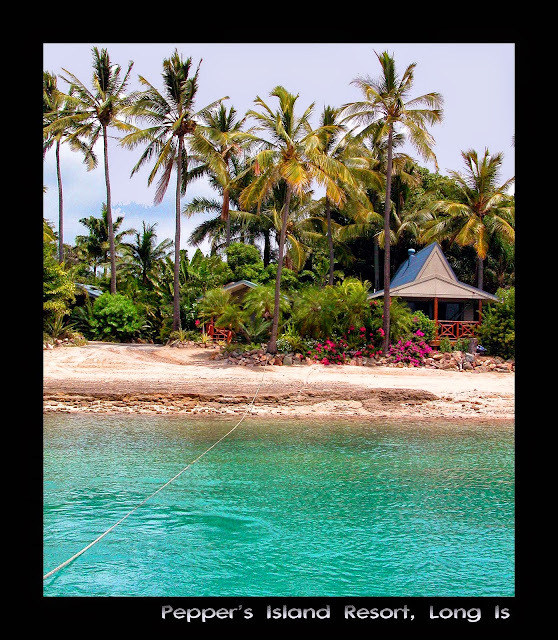 We headed off early the next morning and made our way to Opherous Island for an overnight stop then onto Dunk Island which we stayed for a couple days. 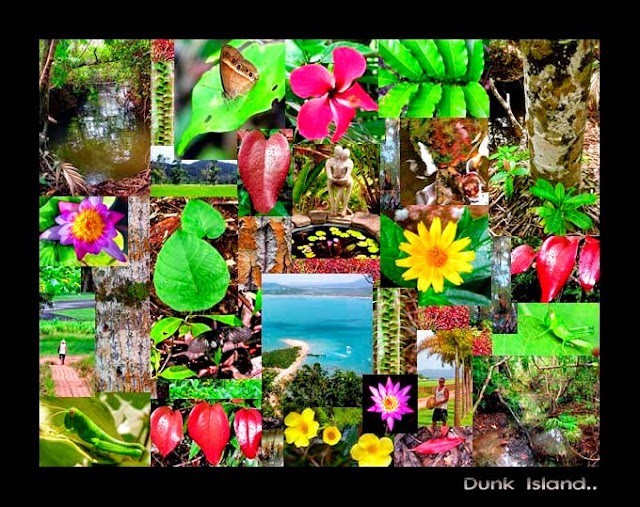 At Dunk Island there is a fantastic bar/restaurant on the beach which serves lovely light meals and the views we looked out over the water, there are lovely walks on the island and the butterflies are beautiful and numerous and true to the Dunk Island logo the electric blue Ulysses butterfly was plentiful and fast. From Dunk we had a long day’s sail to Fitzroy Island which is only an hour from Cairns we were booked in at the marina on the 8th so we still had a couple of days to play with and the weather being beautiful and calm it wasn’t hard to take. 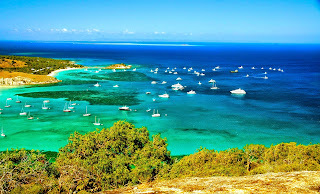 we stayed at Fitzroy of a couple of days then decided to spend a night on the reef, we left Fitzroy early morning and made our way across to Green Island and luckily when we got there it wasn’t as busy as we had expected it to be and even better there was a mooring that we were able to tie to. 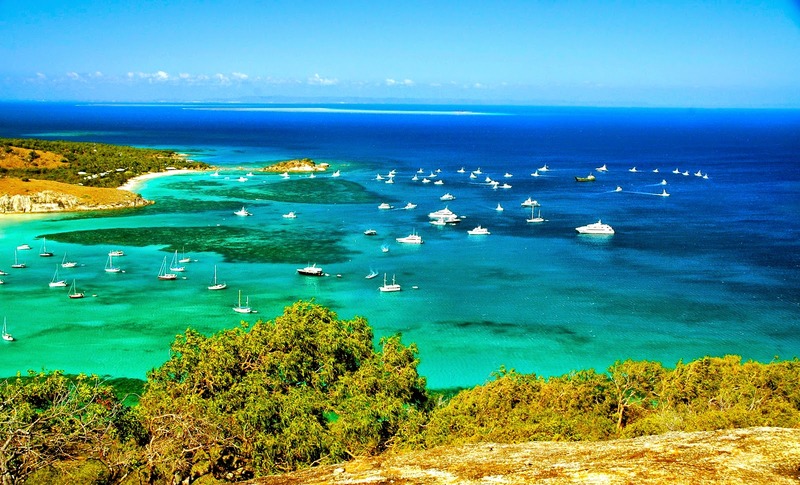 Green Island is a coral cay, which is a sand island that has built up over 1000’s of years; it a very popular tourist spot so weren’t sure what to expect. There’s plenty to do on Green Island we started by walking around the Island spotting many birds from egrets, doves, pigeons, pheasants there is also a Crocodile farm which was started in the 1970’s by George Craig after a career of croc hunting in Papua and New Guinea’s Fly river, it was very quirky filled with many relic’s from P/NG, the crocs were fit and feisty as we happened to be there on feeding time (Rudy’s now definitely wanting a tinny or hard bottomed boat before heading north) and boy did they put on a show; there were also turtles, tropical fish, crocs, crocs and more crocs. 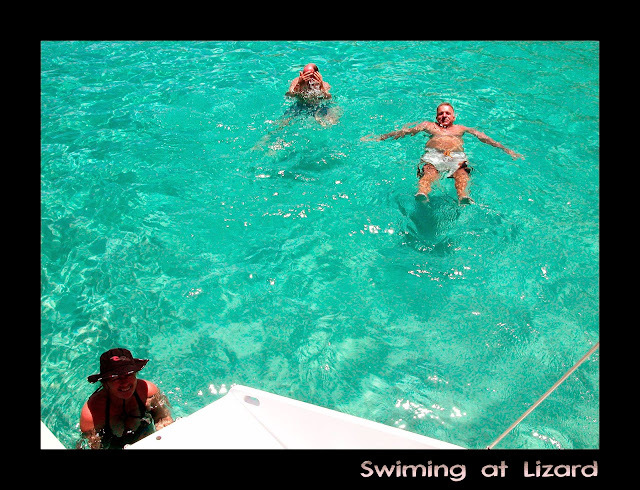 After such an active morning we had a lovely lunch at the resort on the island then we went back to the boat for a bit of a snorkel. We arrived back in Cairns the next morning it was lovely to get back to what will be our home for the next few months, my brother and his family were also heading up for a holiday so we were looking forward to taking them out on a sail. The day we organised to take them out was perfect 5 – 10 knots, we decided to head down to Fitzroy Island and had a lovely trip out, we had a great day snorkelling, swimming, exploring the Island and a yummy BBQ after a full day we were able to have a bit of a sail back a delightful day was had by all. 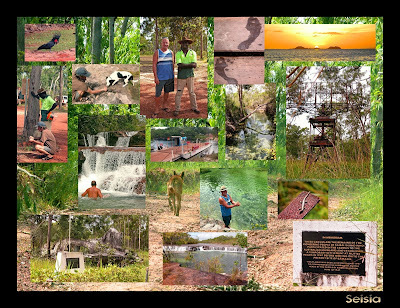 So after a wonderful Christmas we are now knuckling down for the summer, hopefully picking up a bit of work and getting the boat organized to undertake our next journey in which we plan to head north to the Torres Strait, across the Gulf of Carpentaria to Darwin, the Timor sea and on to Broome – another escapade in the making…. We have had an extraordinary year filled with many wonders; so far we have knocked up 3028 nautical miles (5605km) since leaving Brisbane in May 2006 and look forward to amassing many more through out the year. After being out of contact for well over 2 months Rudy and I are back in Civilisation. Where have we been you may ask. 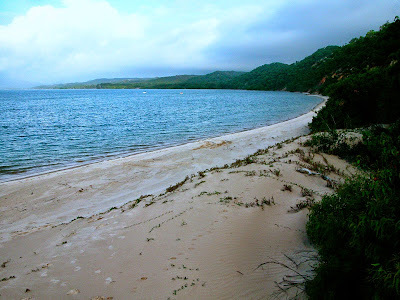 We left Cooktown the beginning of September, the last bastion before heading into the 'never-never' and to our goal of our journey for the year to head north to big and deserted Princess Charlotte Bay. With ‘Tiata’ stocked full of goodies we headed north. Our first stop was Cape Bedford and the amazing coloured sands. We set anchor mid afternoon and went to explore the area. The sand ravines are spectacular. Brightly coloured orange, red, yellow and brilliant white. We walked deep into them until we were completely enclosed by walls of coloured sand patterns it was very dramatic especially with the blue sky overhead. 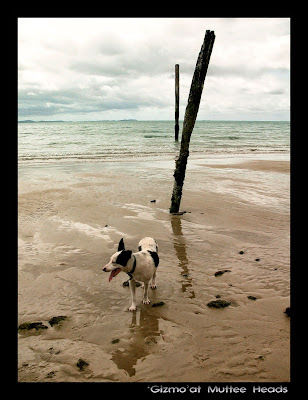 After making our way back down to the white sandy shore, we went for a stroll along the beach. The water so clear and full of life. 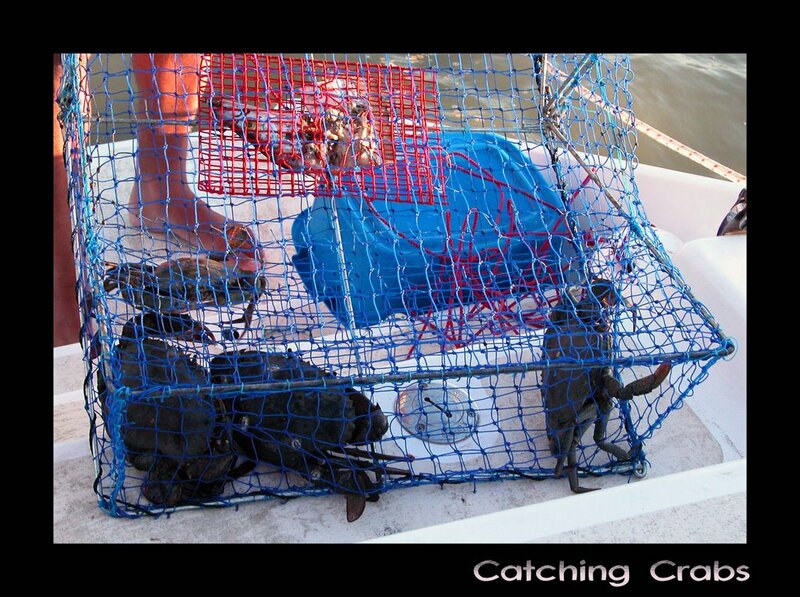 Beside us in the water we could see mud crabs scurrying in the shallow waters, just out of reach. Rudy tried to score an easy meal. He was quick, but not that quick. We jumped into the tender for a closer look both of us standing up and peering over to get a better look. Next minute, a flash a shark about 1 ½ meter swiftly swam beneath the boat needless to say we sat down very quickly. 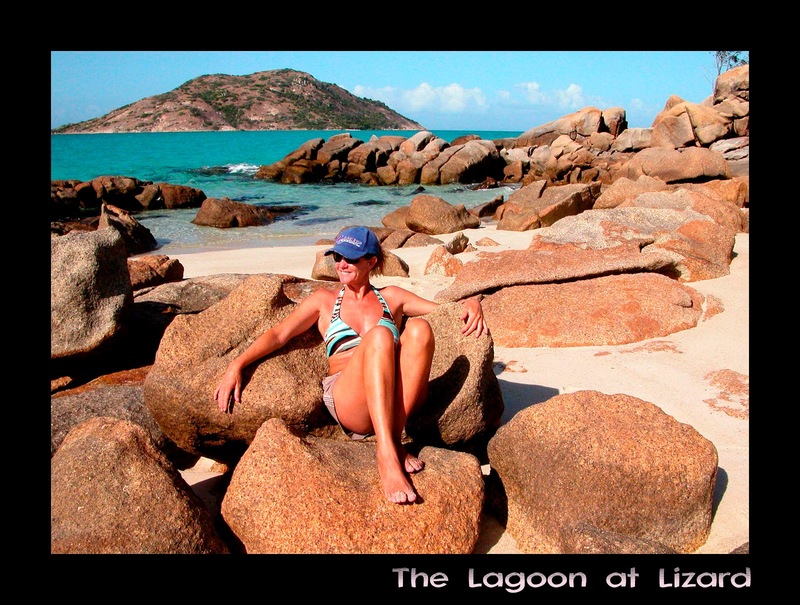 We left the next morning and headed north to Lizard Island for a couple of nights, a wonderful Island with water as clear as a glass of water. Lizard Island was named by Captain Cook in August 1770. 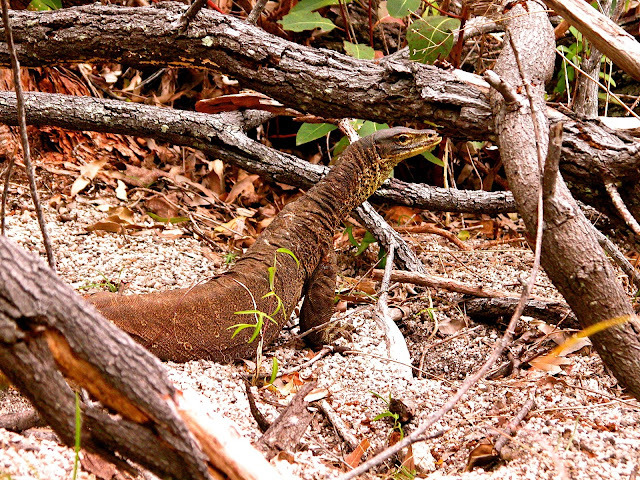 He commented,"the only land animals we saw here were lizards, and these seemed to be plentiful, which occasioned my naming the Island, Lizard Island". 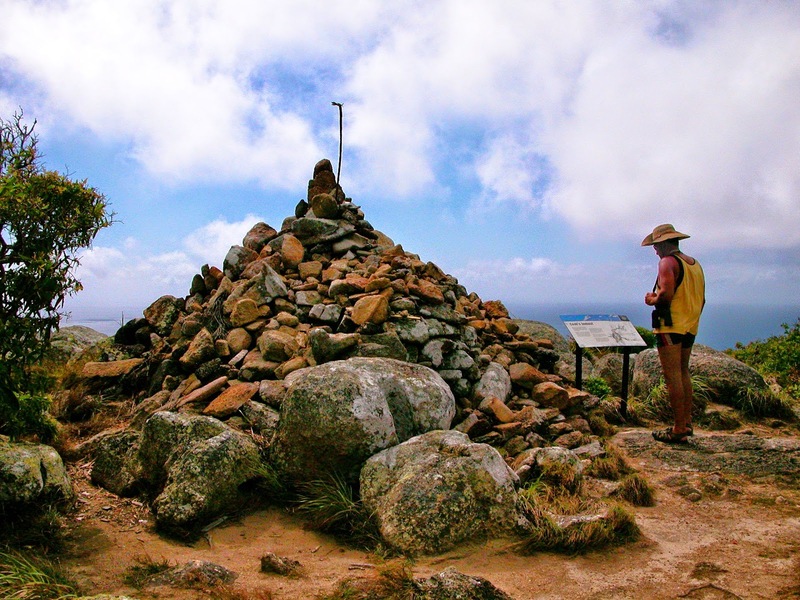 Cook climbed the peak on Lizard island to chart a course out to sea through the maze of reefs which confronted him and the island's summit has since been called 'Cook's Look'. The next morning we were up early ready to take on the challenge of climbing the islands summit to "Cook's Look". We left early it was windy and steep but the views, amazing. 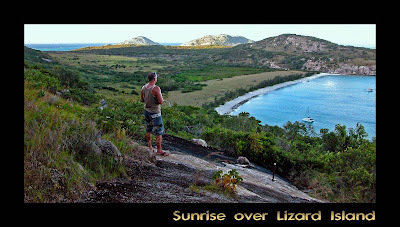 The following morning to set to leave this beautiful Island knowing that we would return to enjoy Lizard Island at a more leisurely stay on our return. 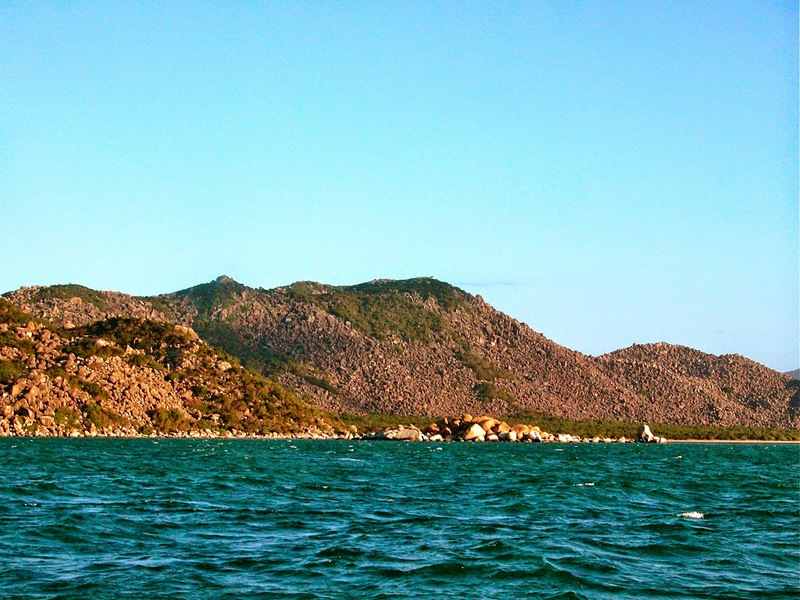 The winds were blowing from behind at about 20-25 knots so it was a brisk sail back to the coast and north to the 'windy and wild' Cape Melville. It was a great day's sail covering about 70nm (approx. 139 km) which is great going for us. 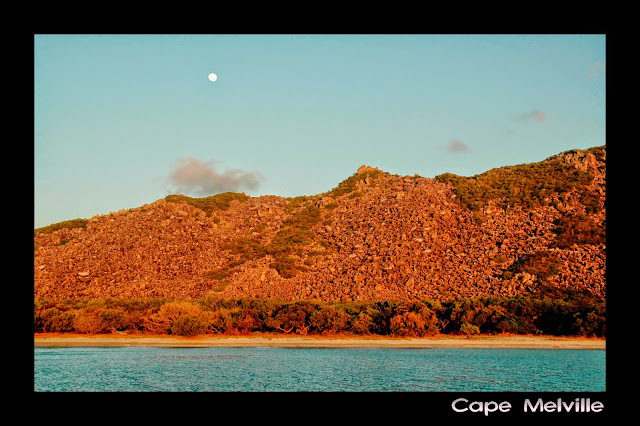 Cape Melville is a very dramatic scene with huge house sized boulders piled several hundred meters into the sky. 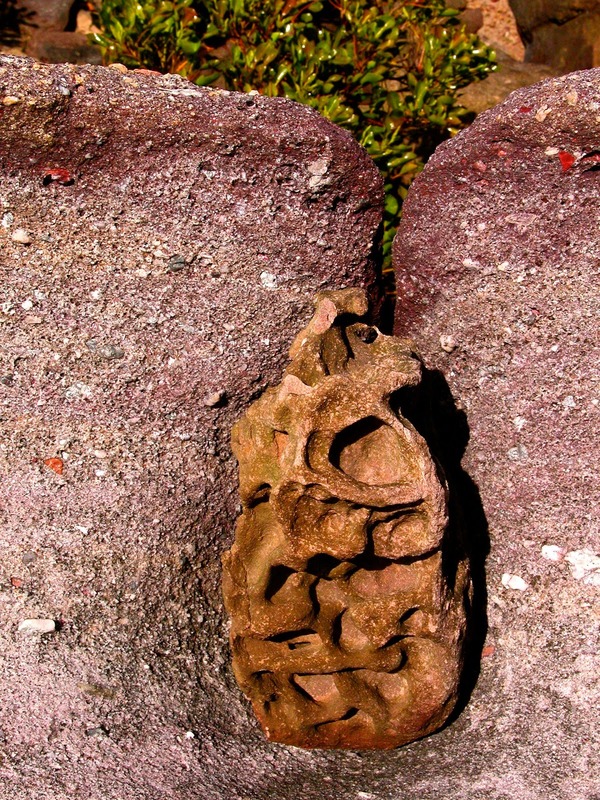 It's an old glacial deposit and has an ancient prehistoric look about it. We arrived late in the afternoon and were treated to near full moon rising over the mountains of boulders. 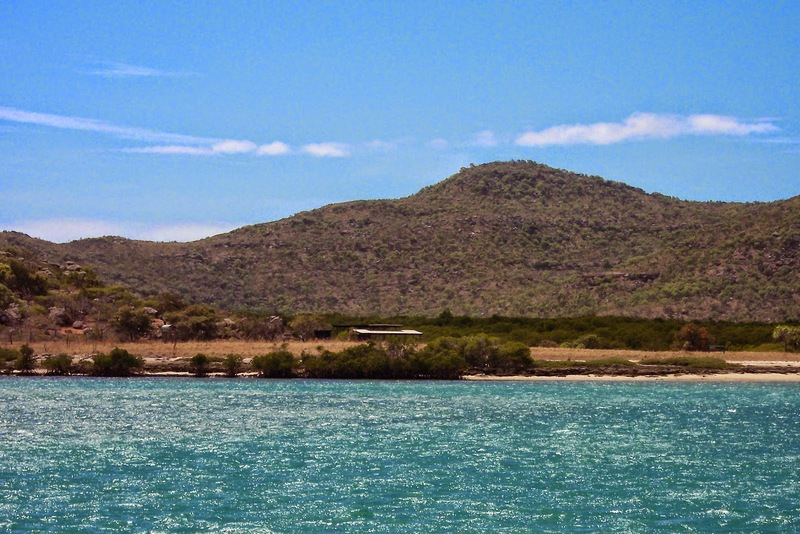 Cape Melville is a very isolated place but we soon realised we were not alone, for scattered along this far northern coast are numerous fishing camps full of crazy guys sleeping on crocodile visited beaches and going out in rough windy seas in small fishing boats. After a blustery night, were I spent most of the night keeping an eye on the mast and the stars to ensure we weren't being blown off our anchor. I was glad when morning came and we were able to pull up anchor. 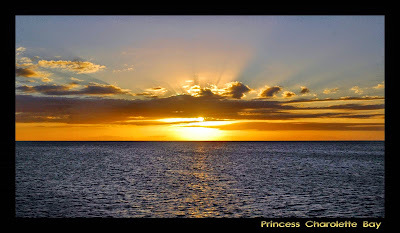 We headed on to Princess Charlotte Bay, some 350km north of Cairns and at the and our destination for our first northward journey. The size of the bay is a massive, 60km wide so all you can see looking west is the distant cloud masses hugging the land. We arrived and decided to spend our first night snuggled down in the Normanby River which sits down in the bay on the eastern side. It has a tidal bar so we had to wait for the inward tide to rise to allow us over the sand banks and we eventually sailed into the river late afternoon. It was a beautiful night with the full moon shining brightly down on us, it was so still and quite we felt like the only two people in the world, such a magical feeling. The next day we headed back up into the bay off Bathurst Head, it was quiet shallow where we anchored and the water very murky, so murky every now and then we'd hear this almighty 'clunk' we finally realised that it was turtles surfacing and smashing into our boat as they came up for air the noise was terrible and woke us up a few times throughout the night, luckily both the turtles and Tiata came out of it unscathed. The crabbing there was awesome, nine crabs in one pot but the sound of the 'crash dummy turtles' was too much so the next day we had a lovely sail north to the Flinders Island group. The winds picked up and were blowing a constant 30knots+ (with 50knot gusts) and thus this was to be our home for the next few weeks. 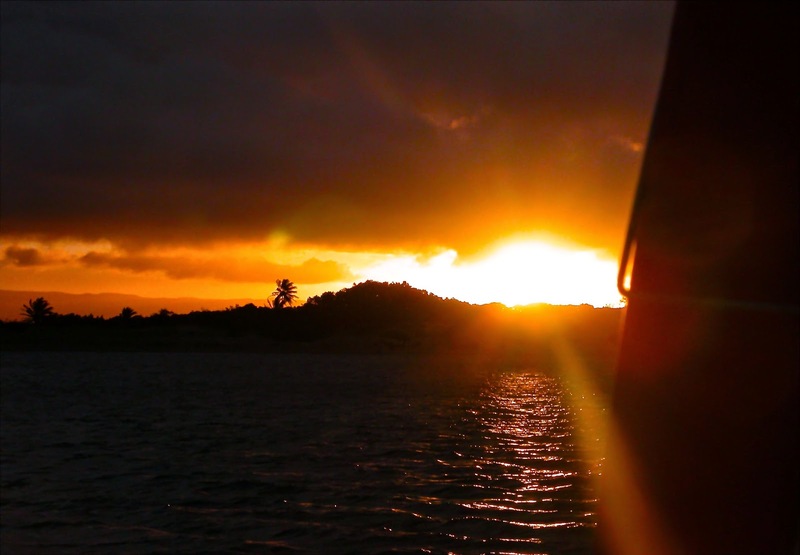 We spent most our time anchored within the Owen Channel with Flinders Island to our east and Stanley Island to our west, which protected us from the howling winds. This is all a part of the Flinders Island Group National Park and is well managed with two huge water tanks and a nice cemented and covered area, so we had a supply of fresh water plus a solid clean area to do some washing. We felt lucky not to have to worry about running out of water, Tiata has storage for 300 litres but as for everything else provisions were getting low. We weren’t going to starve though the oyster’s where big and bountiful and we had plenty of rice and tuna. By the time we got back to civilisation we were both looking very fit and healthy. We were not alone though. Dudley, Jenny and David on ‘Tropical Cat’ kept us up-to-date with weather (they had HF radio – far range) and entertained us with their company and a huge library of DVD’s. They were heading south too, David was due back to work in Cairns a couple of days earlier so were keen to keep an eye on the weather hoping to make a dash south. 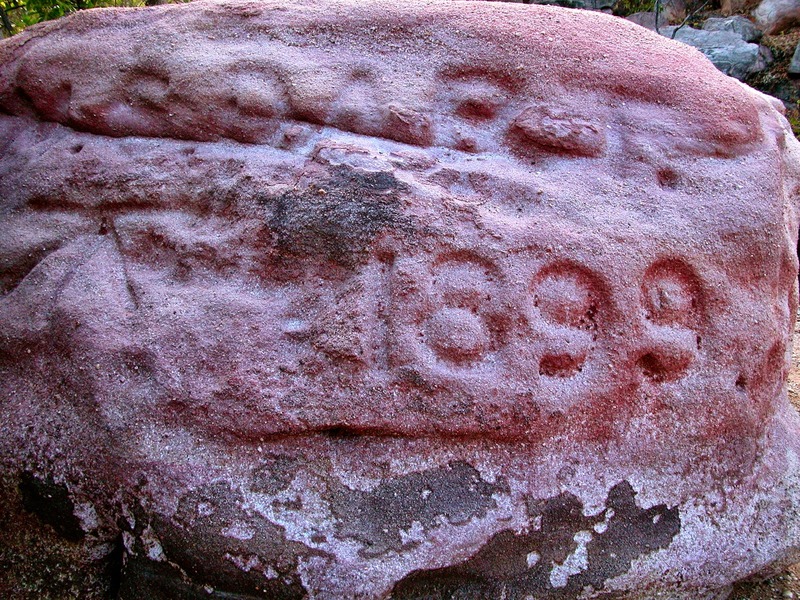 The days lingered on there are plenty of places to explore one being a short track on Flinders Island which lead up through the bush to several wells and a rock carved with the words 'HMS Dart 1899'. A naval survey ship which collected life saving water from the wells in 1899. After a week or so and along with Tropical Cat it was decided on change of scenery so we headed back down to Bathurst Head for some 'crabbing' and more close encounter’s with the 'crash turtle’s'. By this time David was already days late for work and the weather was starting to abate so we decided to join them in there quest to head south across Bathurst Bay to the treacherous Cape Melville. We started out early and things were looking ok, but as the morning wore on the winds and waves picked up it was uncomfortable and we were getting nowhere fast. Rudy and I soon decided we were not in that much of a rush to head back and decided return to Flinders and wait out a couple more days. Dudley, Jenny and David powered on with Dudley reporting winds hitting 54knots across the deck. When we finally caught up with them at Lizard island they had managed to make it a mere 10nm or so to Rocky Island were they spent a wild night, it was a good decision to return. Finally the winds began to subside the weather reported that they would quieten throughout the day. We decided to wait till after lunch for it was only about 12nm across the bay, should't take us long, so we thought. 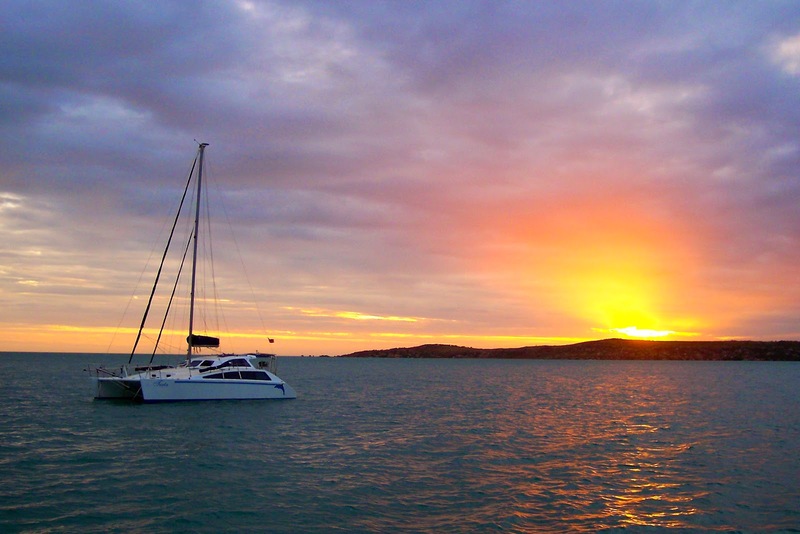 It started out lovely but that Cape Melville is one windy wild place we eventually anchored at 7pm that night. After a quick feed and shower Rudy exhausted went off to bed. With the wind howling, the boat was continually yanking on the anchor making a terrible 'chunking' noise made it impossible for me to sleep. Finally dawn came the wind hadn't let up all night and was still blowing wildly. We decided we had to get away from there, and if I never see Cape Melville (except in passing) again it won’t be too soon. We lifted anchor and as soon rounded the Cape Melville the winds immediately ebbed and we were heading south. This was to be our first windward journey since we first set sail some 6 months earlier. This involves a lot more tactics and tacking (when sailing one can’t point straight into the wind you have to point either side of the wind – thus a longer journey). It's also quite a narrow passage in the main shipping lane and the reef comes in very close to the coast. So it was very different to what we were used too, dodging reefs and staying clear to the big ships that moved at a tremendous speed. 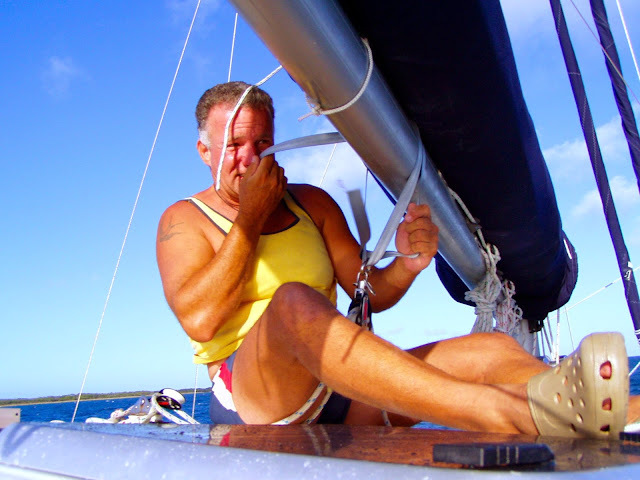 We made it Howick Island before nightfall with a bit of a hold-up when the strap holding the main broke and Rudy had to do some on-going repairs. There’s not much to Howick Island in the way of sight seeing so we pulled up anchor and headed back to Lizard Island. 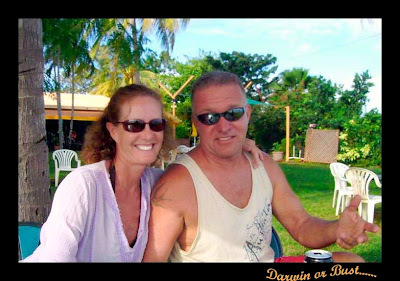 We were due to meet up with friends, Chris and Pat on the 26th in Cooktown and being the 24th we were running short of time so we had one day in Lizard Island to recoup ourselves before heading back to restock the boat and prepare ourselves for there arrival. Cooktown, as Rudy puts it is “a phoenix waiting to rise from the ashes” were Captain Cook landed in June 1770 and stayed 7 weeks to make repairs on the Endeavour thus the name “Cooktown”. It was also his first encounter with the Aboriginal people. Then in its 'gold rush' heyday after gold was discovered in 1872 it boasted 90-odd pubs, 120 or so brothels. Today it’s back to a sleepy seaside town that has only in recent years got a sealed road from the south. 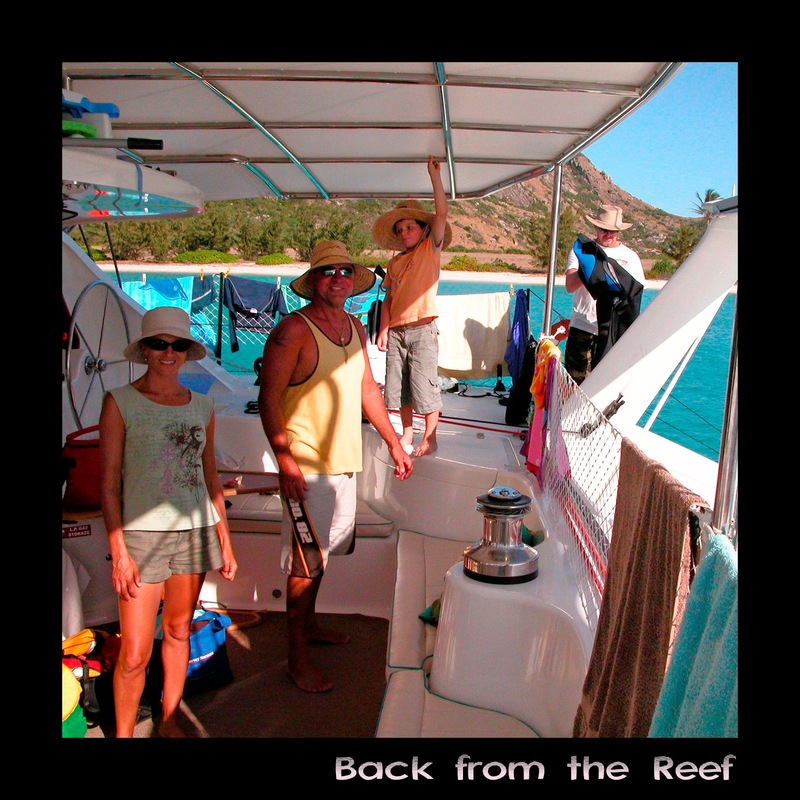 Chris and Pat arrived on the 27th and after another day of grocery shopping we were ready to head back up to Lizard Island and chill out. We had a lovely sail up from Cooktown found ourselves a lovely spot on the corner of Watson Bay. 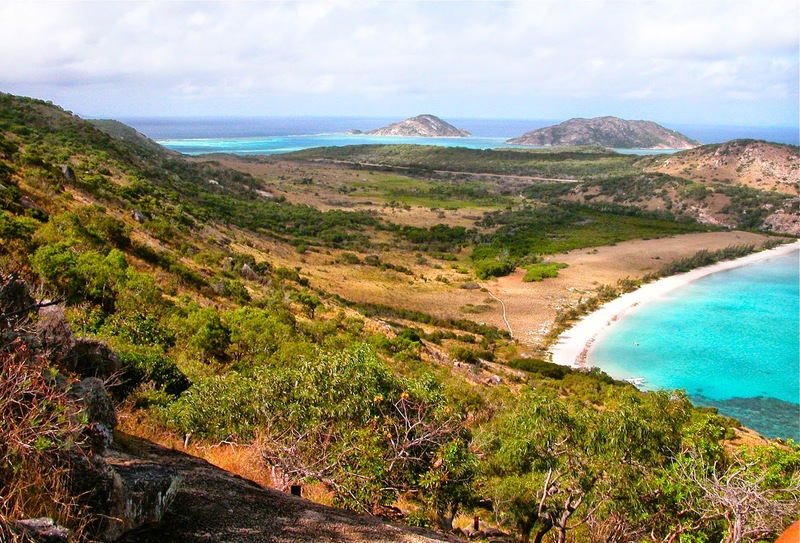 Lizard Island is a beautiful Island a National Park with crystal clear waters, extensive reefs and abundant sea life. 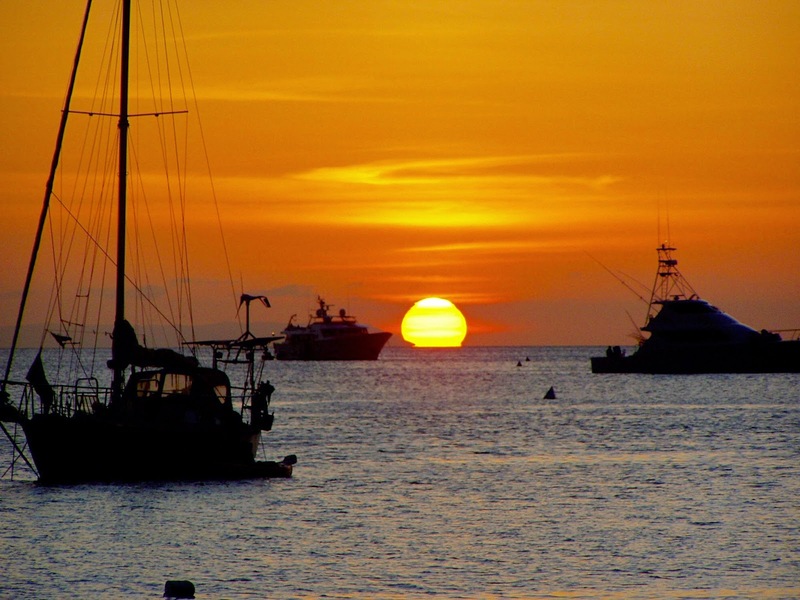 It is nestled close to the outer reef and well protected from the prevailing southeast trade winds. 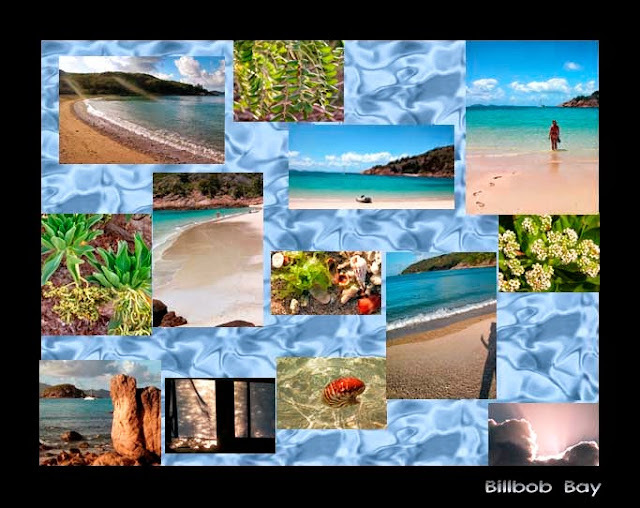 We had a wonderful time spending our days swimming, snorkeling, walking the many tracks, generally relaxing. The water at Lizard is awesome, so clear you can see the sandy white bottom and the fish life amazing. Some of the many varieties that gather about the boat included bat fish, dart, groper, trevally, sweet lip, long tom (similar to a pike) just to name a few. Lizard Island edged by reefs one had to just jump off the boat and paddle to the left or right and we were in the most beautiful coral reef. The fish are abundant and giant clams of the most amazing colours fill the waters. Every morning I enjoyed and early morning swim along the edging reef mere meters from the back of our boat. 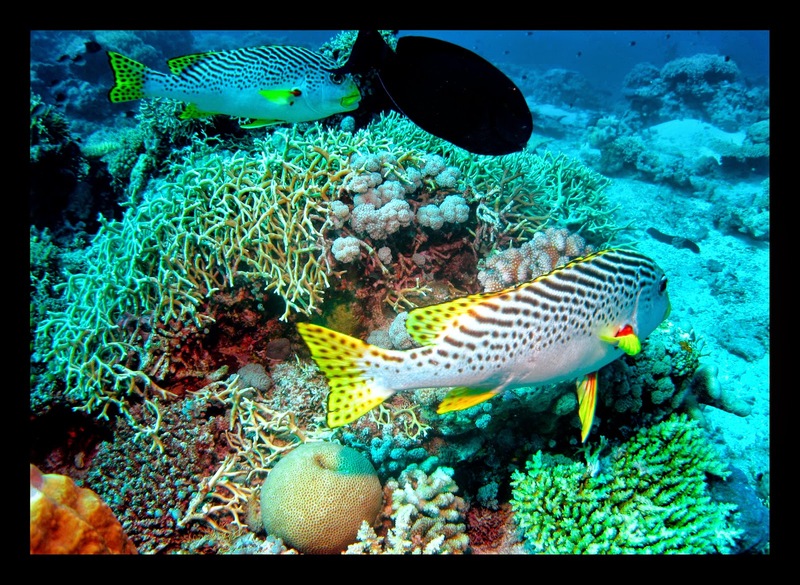 I would meet up with a family of parrot fish and I would follow them as they munched the coral. They were so beautiful I just fell in love with the place you couldn’t get me out of my bikini or out of the water. We had a full moon while CJ and Pat were with us which means very high and low tides which on the low the boat sat in less then a meter of water so we were able to wade out to the beach, go for a walk and wade back to the boat, it was all too lovely. 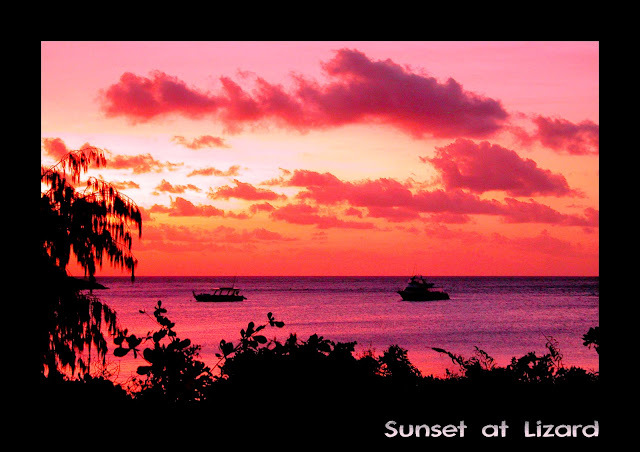 There is a resort on Lizard very exclusive with rooms starting at $1500.00 a night twin share. We were unable to access the resort but they had a great 'staff bar' that was situated right on the beach which we were able to access. They had food a couple of nights a week which included the best pizza's. 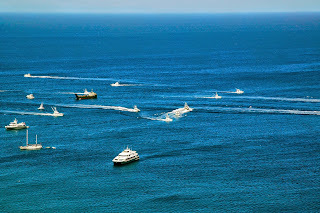 We were there for the Black Marlin fishing competition which pulls in the serious competitors. There was about 60 game boats entered and most of them had huge mother-ships, one being ‘My Way’ that used to belong the Mick Dohan. 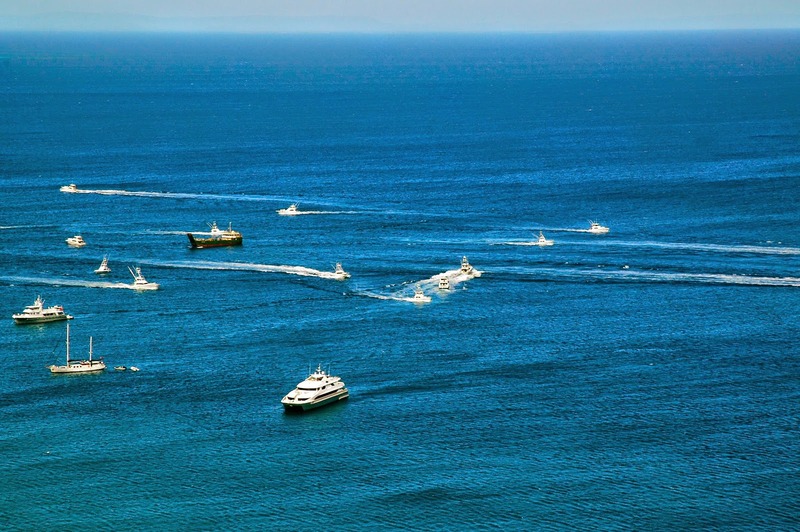 The bay was crowded with all types of boats big and small. We got to do a bit of fishing as well as anchored beside us was Bruce and Fergal they were taking a power cat back to Perth. They took us to out for a bit fishing and after a couple of hours we were back with 3 huge mackerel. 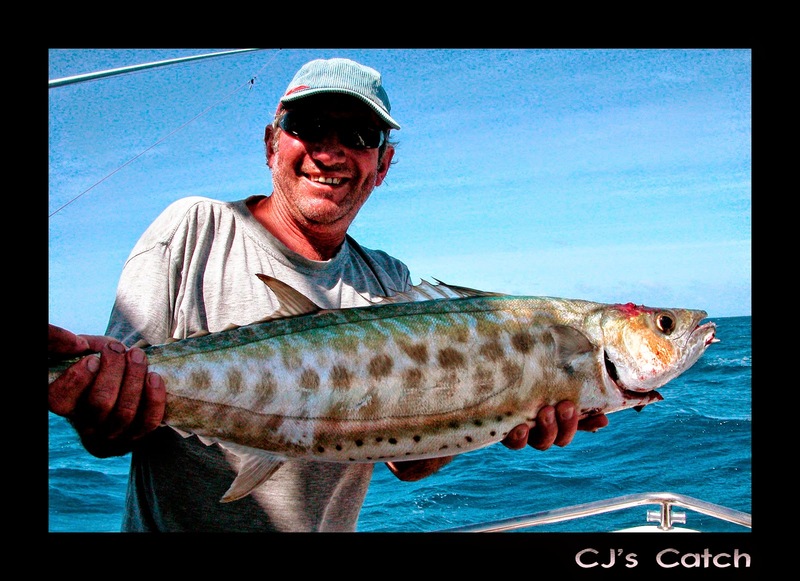 It was very exciting with wild seas and CJ had great fun reeling in a nice big one. Chris and Pat left us after 2 weeks flying out from Lizard to Cairns (the winds were still blowing 20-25 knots from the south) we were running out of food and grog (amazing I know) but luckily we’d found a place when we were at Cooktown that organises groceries and even luckier still our friends Scott and Sarah off ‘Anui’ were arriving in the next couple of days and so we were reprovisioned and ready to linger longer at lovely Lizard. 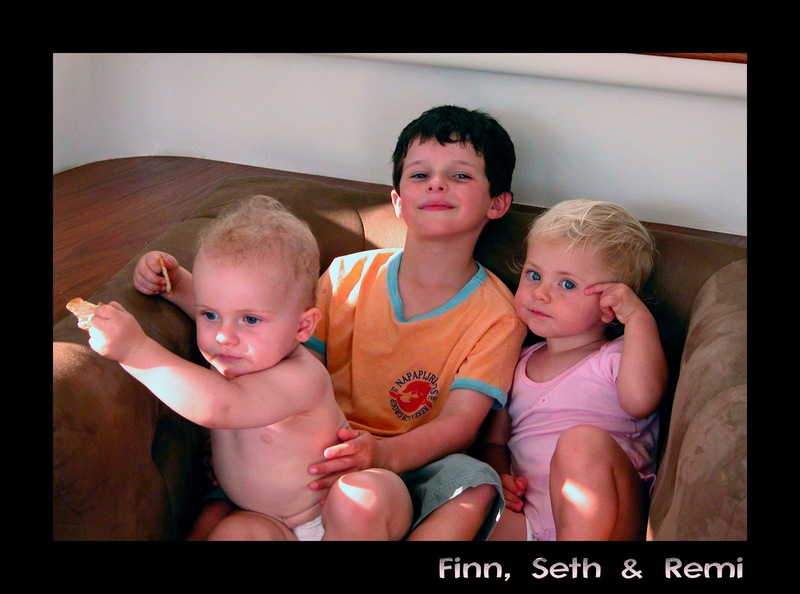 We first met Scott, Sarah and their 2 boys Seth, 6 and Finn, 1 at Dockside when our boat was still a dream. They have a lovely 50ft Cat, Anui that Scott built himself. We got talking waiting for a ferry, they invited us aboard. A few months later we were 'living the dream ourselves'. So it was lovely to see them again, we'd met up a few times heading north. The days rolled by. 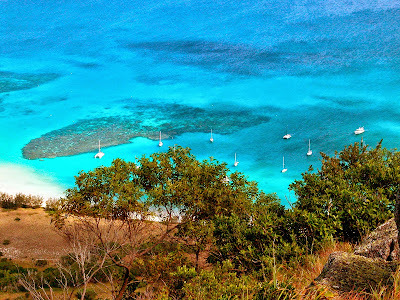 Rudy and I loved an early walk over to the 'blue lagoon' on the other side of the island. Deserted and beautiful. We collected water from a old water pump. We hand washed our clothes in the bush and showered off the back of the boat. I would go over to 'Anui' and we'd bake bread together. We’d swim over to 'Anui' and Seth and Sarah would swim over to us life was a simple pleasure. 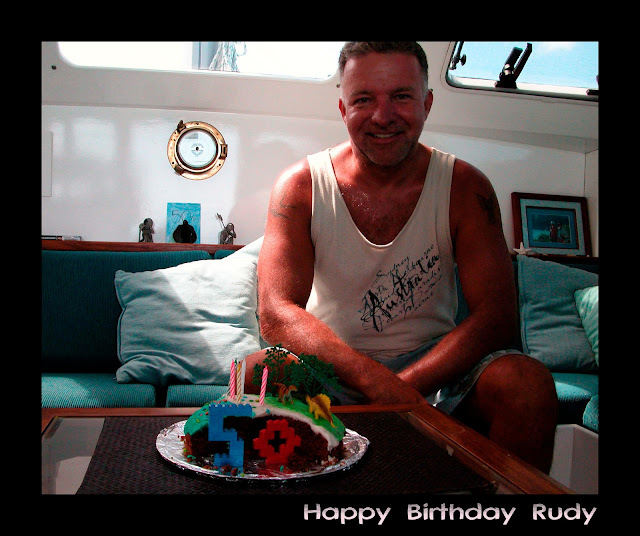 It was Rudy's dream to have a boat and to celebrate his 50th birthday on a lovely island, and here he was. The morning of his birthday we were up early, we loved walking the Island only to be surprised on our return with a lovely chocolate cake and birthday card waiting in the cockpit. Compliments of The Anui gang, they joined us for cake and that night we went to the bar and had a wonderful night with a nice crowd of happy people. A few days later more friends. Bruce, Toni and their daughter 'Remi' and 2 dogs arrived. On board a bottle of Moet organised for Rudy. They too have a lovely 52 ft cat called 'Wilson'. The weather was changing, the winds calmed down. So it was decided to head out to the outer reef, to the Cod Hole. It was decided to take “Wilson” with 6 adults, 3 children and 2 dogs. The day we planned couldn’t have been better we awoke to the stillest day not a breathe and the water so crystal clear it was like looking in a fish tank. Throughout the mooring you could see people walking up in deck and just peering into the water, you have to realise it had been blowing constantly SE 20-30 knots for weeks. 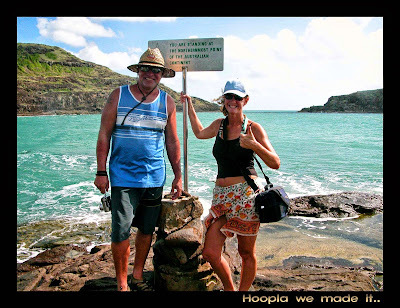 We headed out to a spot called the ‘Cod Hole’ it is one of the best dive sites in the world at the northern end of the Great Barrier Reef on Ribbon number 10. Named after a family of a dozen or so Potato Cod. The visibility as astounding we could see the bottom of the ocean at 27 meters. The snorkeling was awesome and we all had a fantastic day, so much so we went out again. This time to Hick's reef where fishing is allowed as Scott and Bruce were hoping for some lobster. With a bit of wind we had a great sail there and back – no lobster though. Rudy managed to land a big Mackerel trawling off the back of the boat which was enough to give each boat a nice feed of fish and Bruce also caught a lovely Coral Trout. After 5 weeks it was time to head back. We had a wonderful journey and we now look forward to more of unknown. 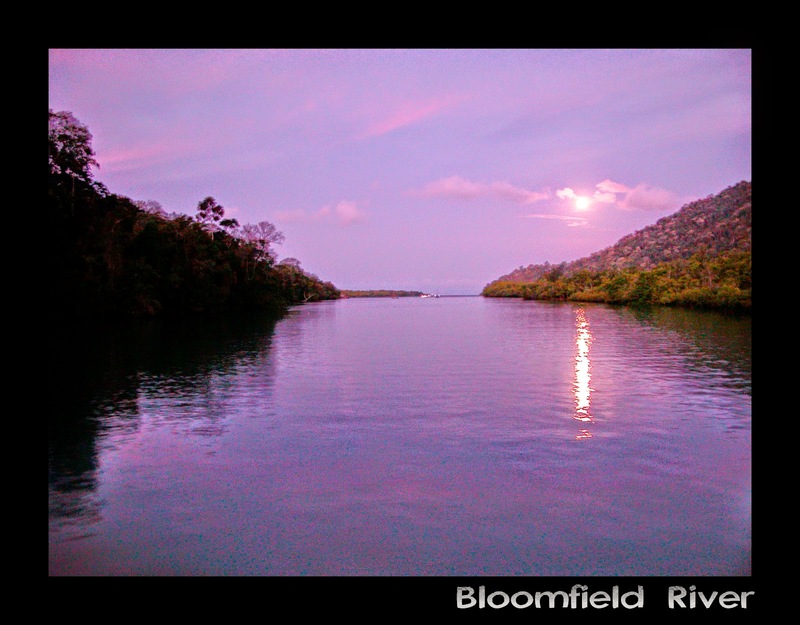 From Cooktown we headed south up the Bloomfield River which is just north of the Daintree and is a beautiful river with rainforest right to the water’s edge. 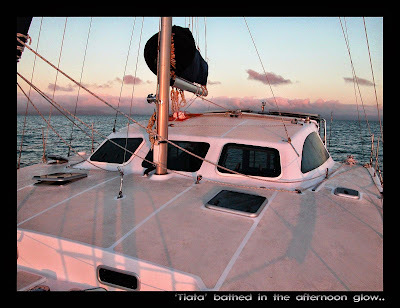 We stopped in Port Douglas for a couple of nights and as the winds had abated and coming more from the east we had a wonderful spinnaker sail across to Vlasoff reef where we stayed the night. 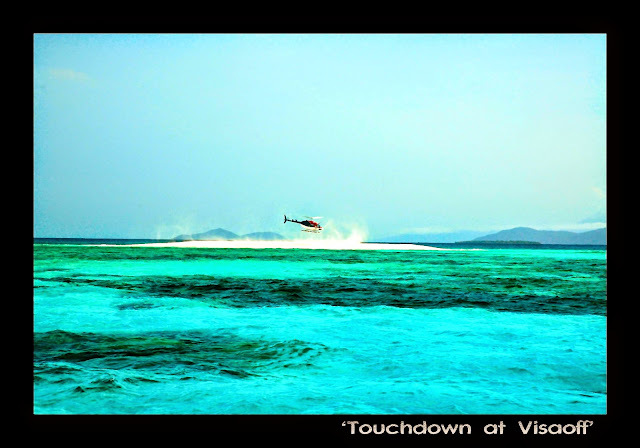 We picked up a mooring just off a delicious white sand spit I had to swim out to it, the colours were beautiful moments after my return out of nowhere a helicopter did a 5 minute touch down and then we were alone again. Our journey ended in Cairns with a broken anchor winch so we’ll be here till at least repairs are complete. We have had a wonderful journey north we have learnt a lot about sailing, the boat and each other and we look forward our continued adventure. Copyright: Lynette Higgs. Awesome Inc. theme. Theme images by MichaelJay. Powered by Blogger.